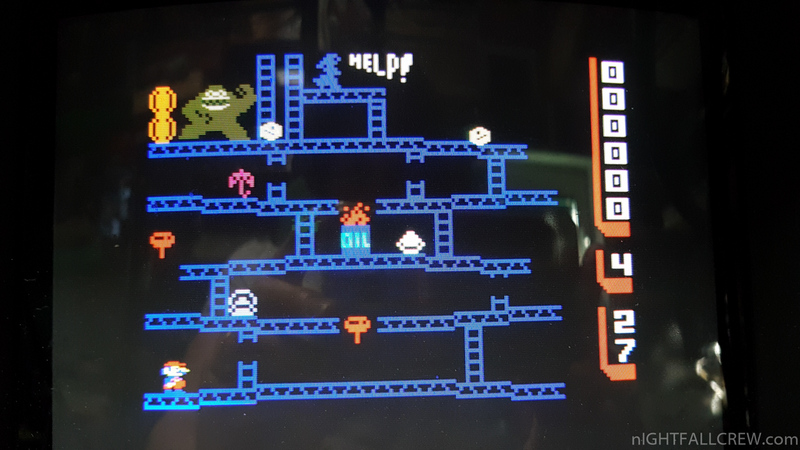 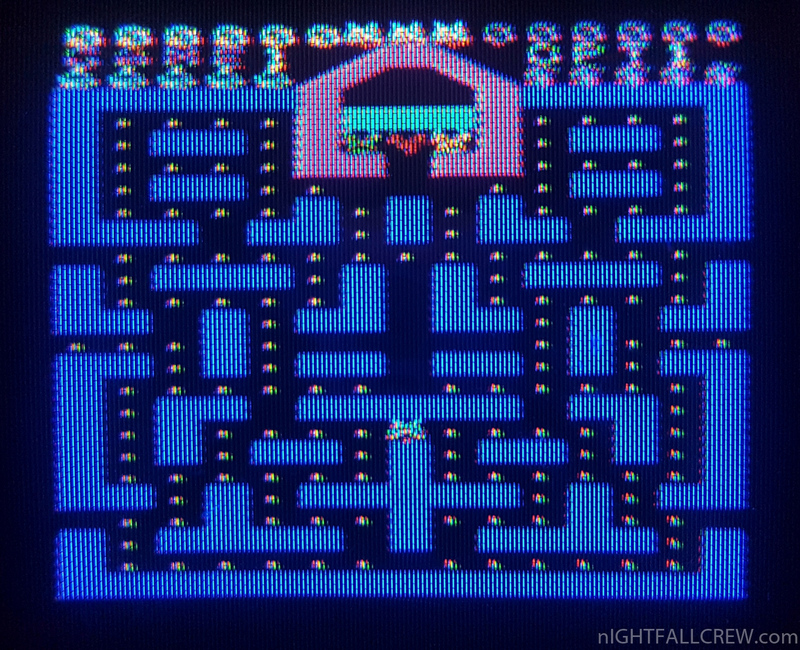 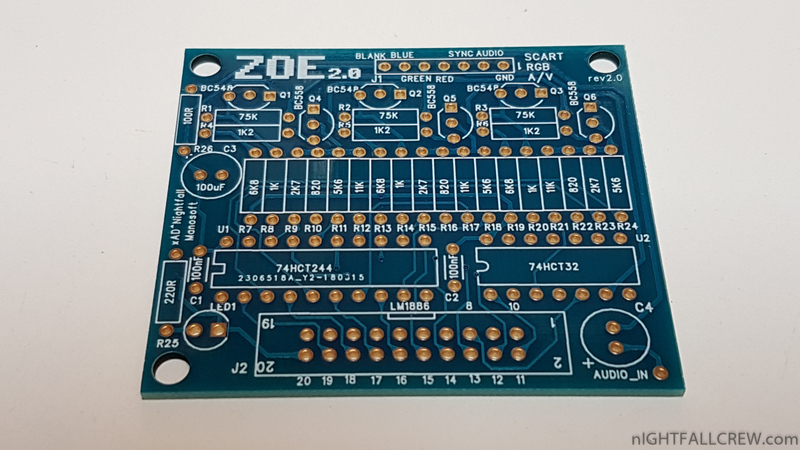 ZOE rev 2.0 Inty (Mattel Intellivision) RGB Interface. 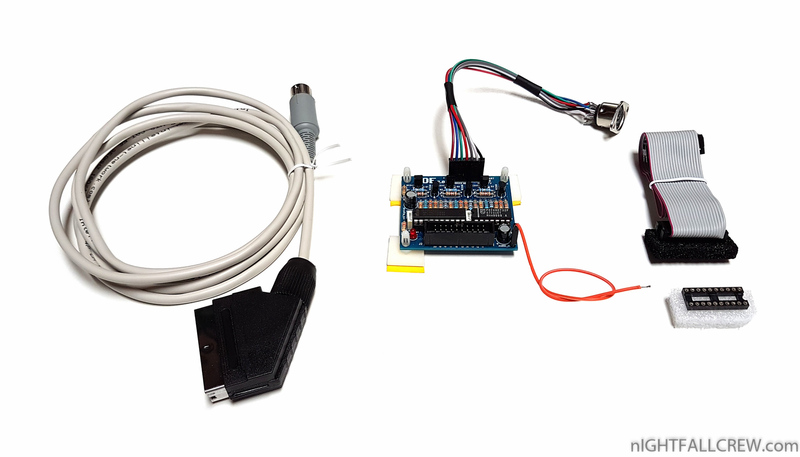 The video cable with a male SCART connector on one end and a 8-pin DIN male on the other side is 2 meters long. 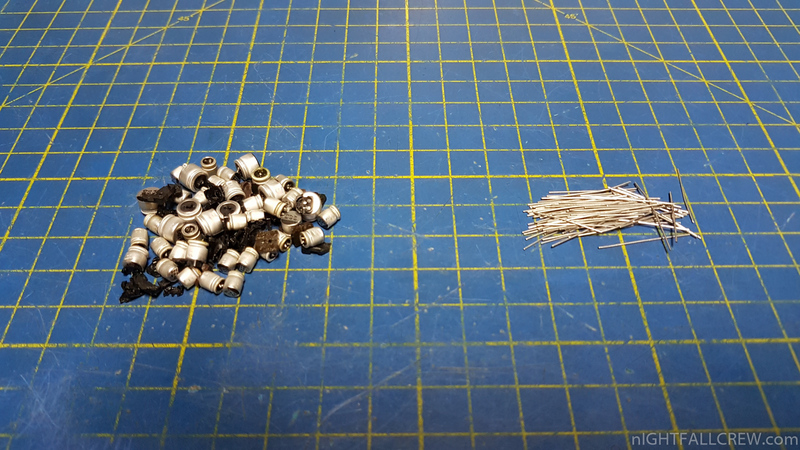 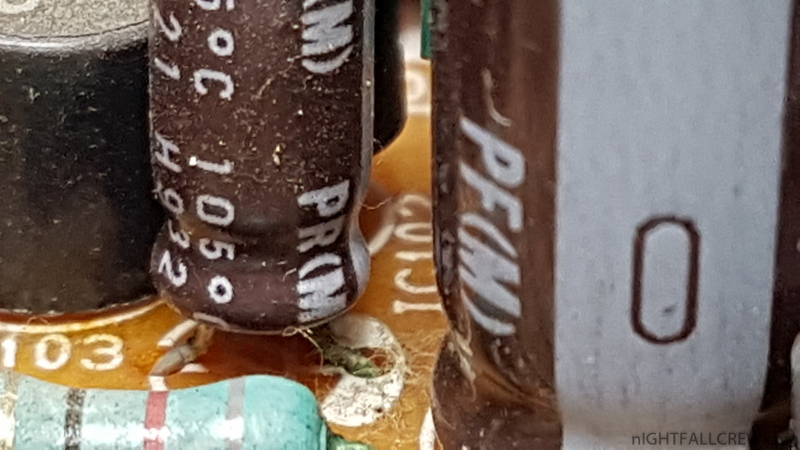 The audio cable with dupont connector from one end and to solder on the other side is 20cm long. 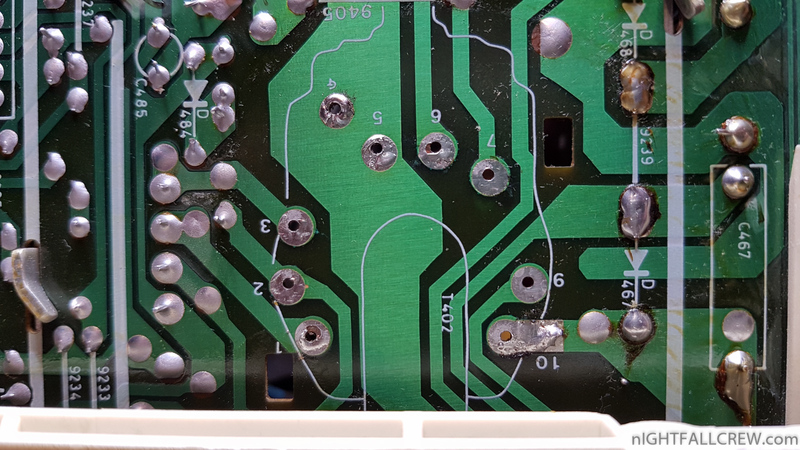 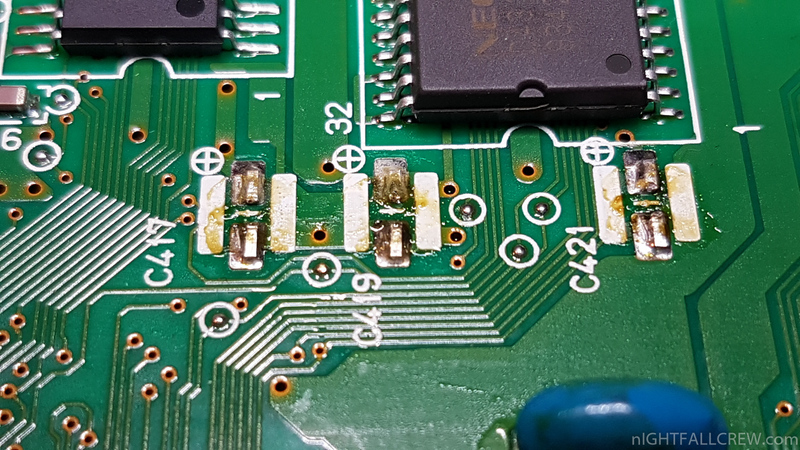 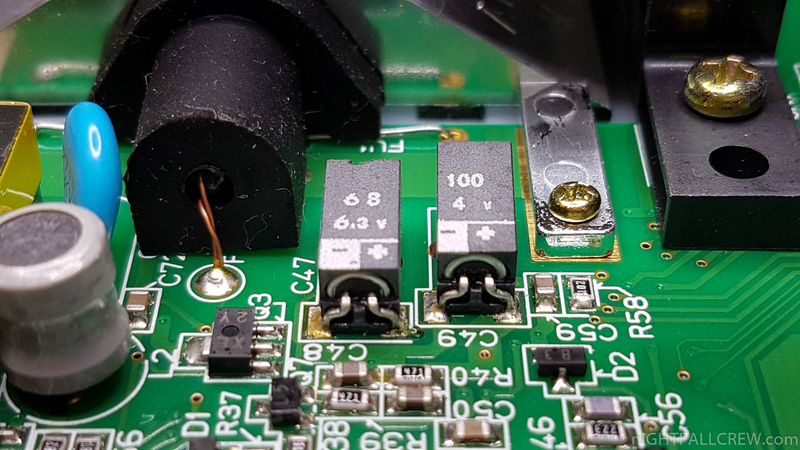 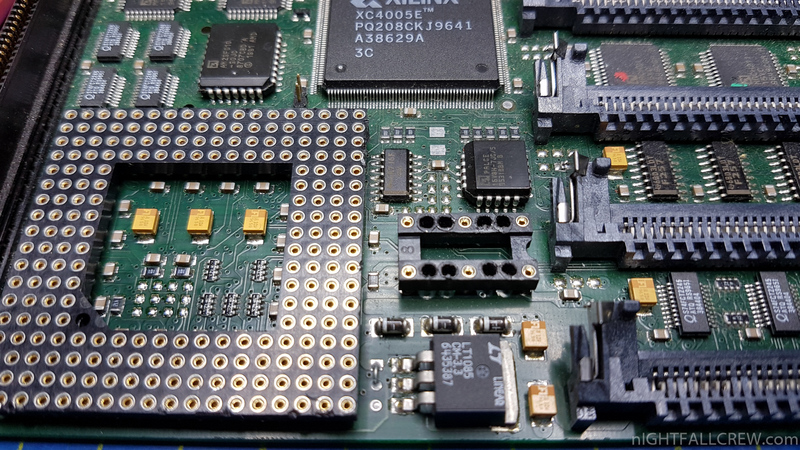 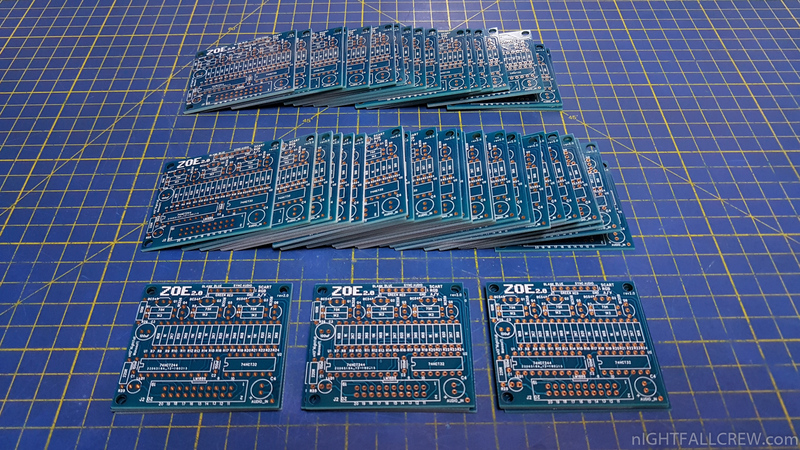 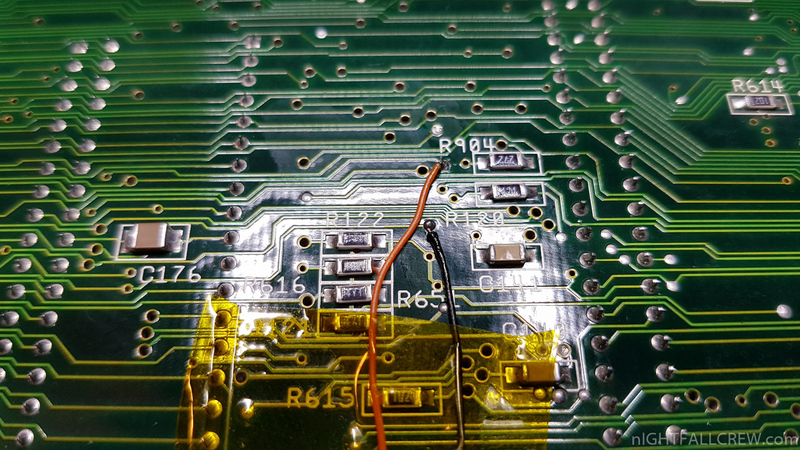 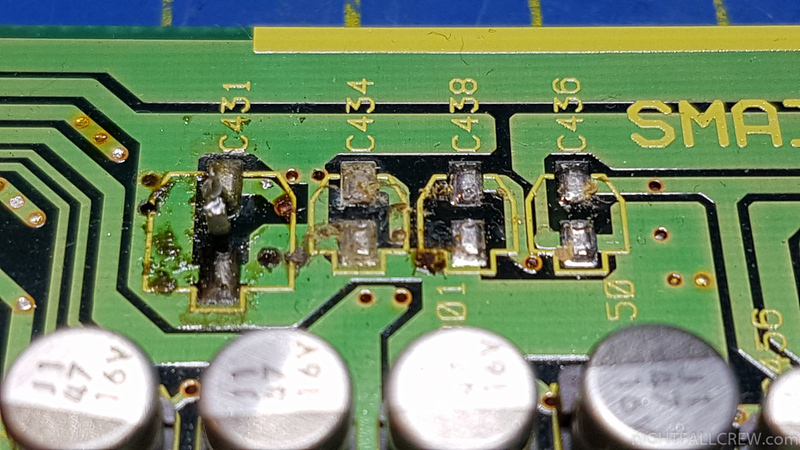 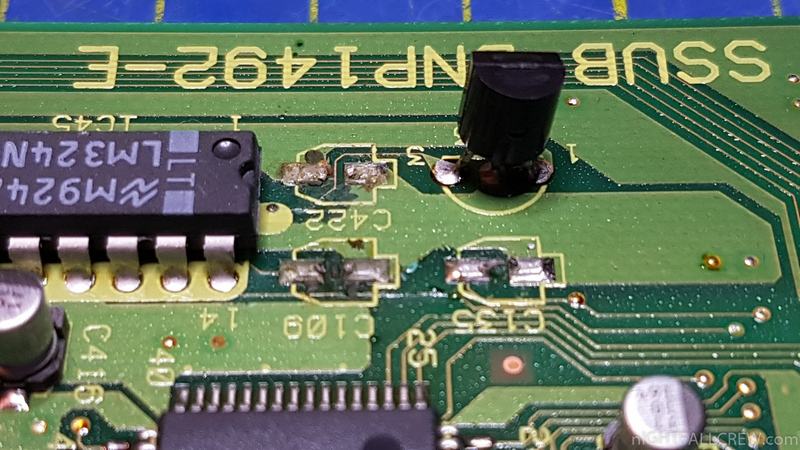 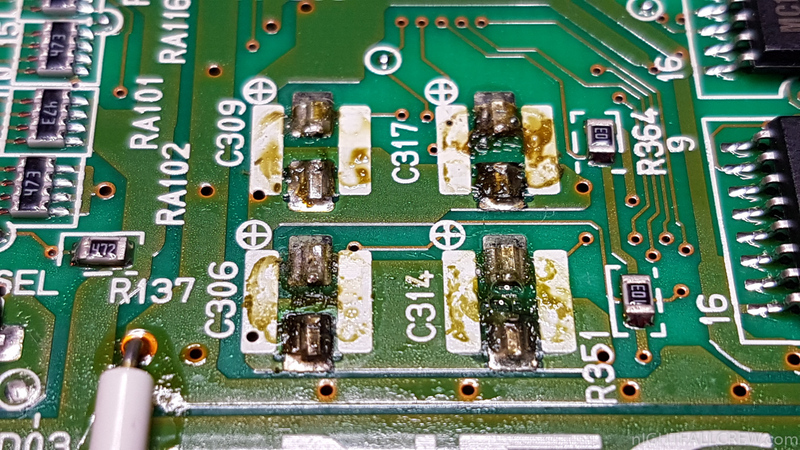 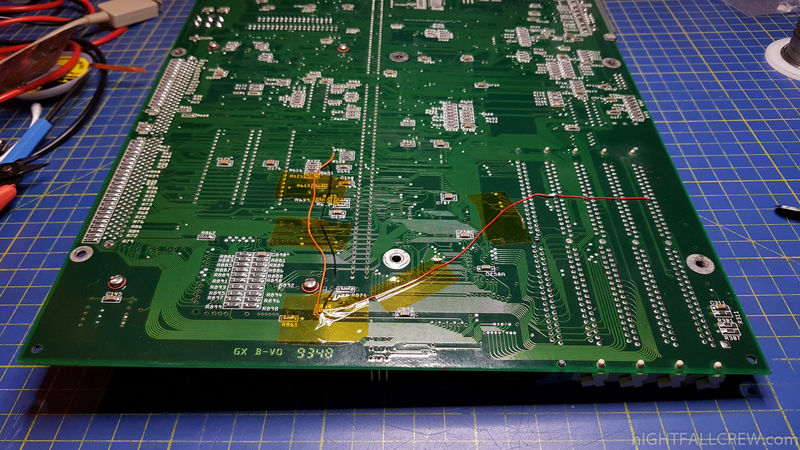 The ZOE pcb must be fixed with 3 bioadhesive supports. 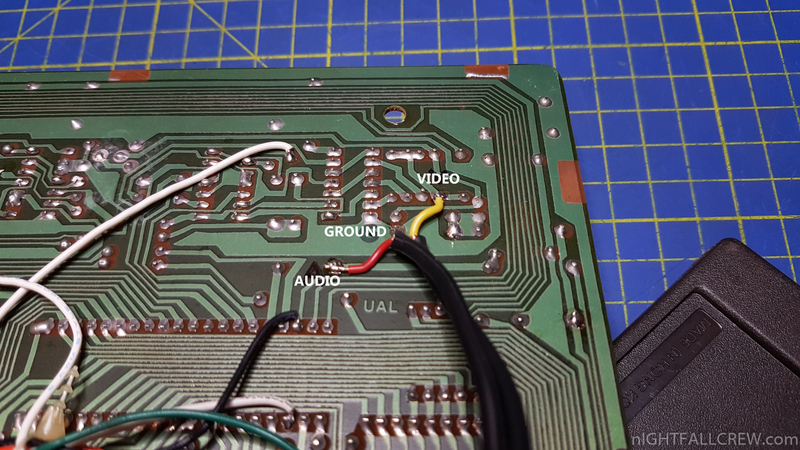 Improved audio output, there are a little less background noise. 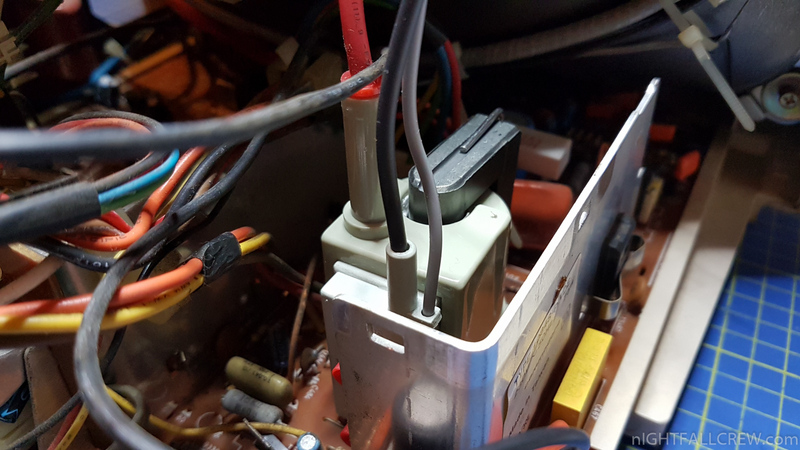 The 8-pole DIN female panel socket can be positioned, after drilling, at any place. 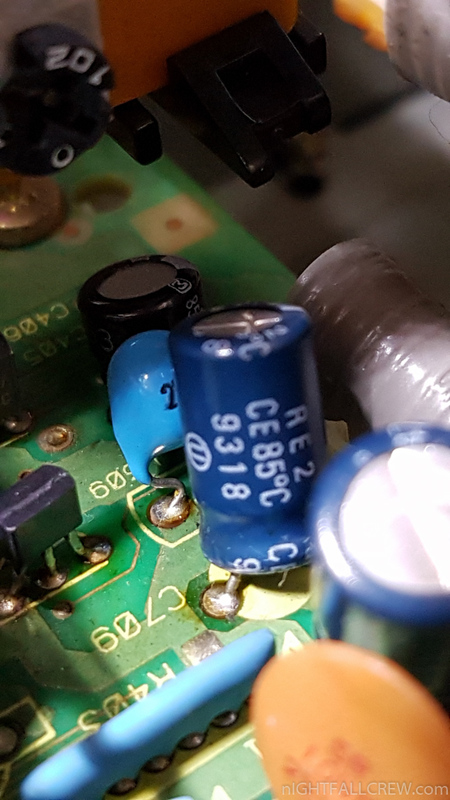 I recommend using the RF output hole, removing the RF modulator which is no longer usable after the modification. 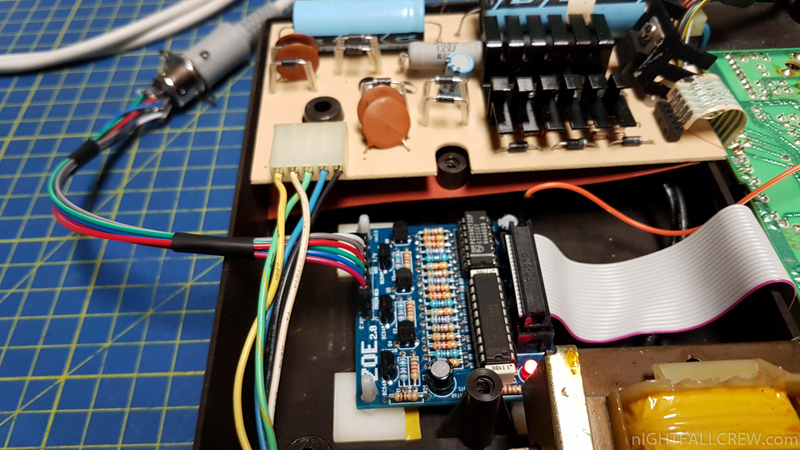 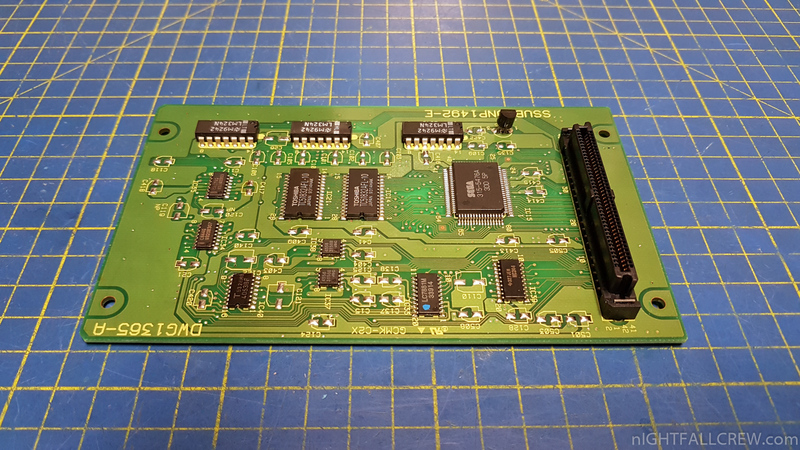 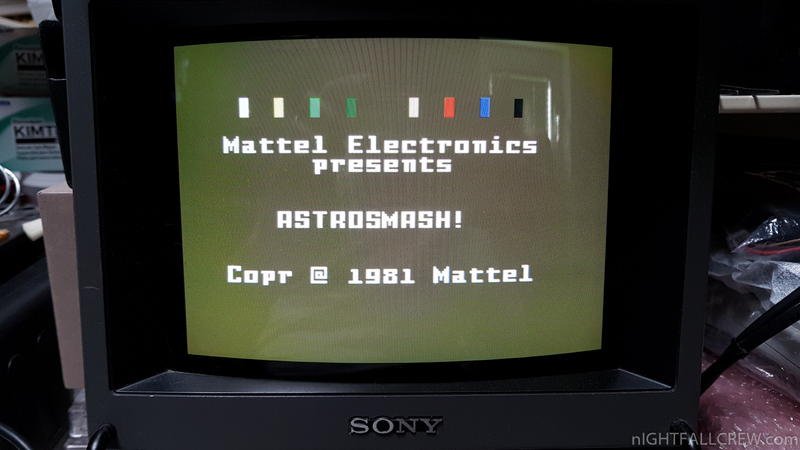 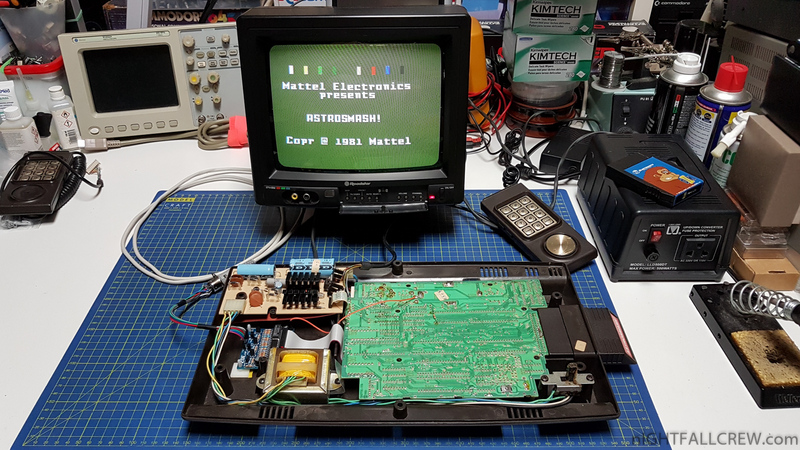 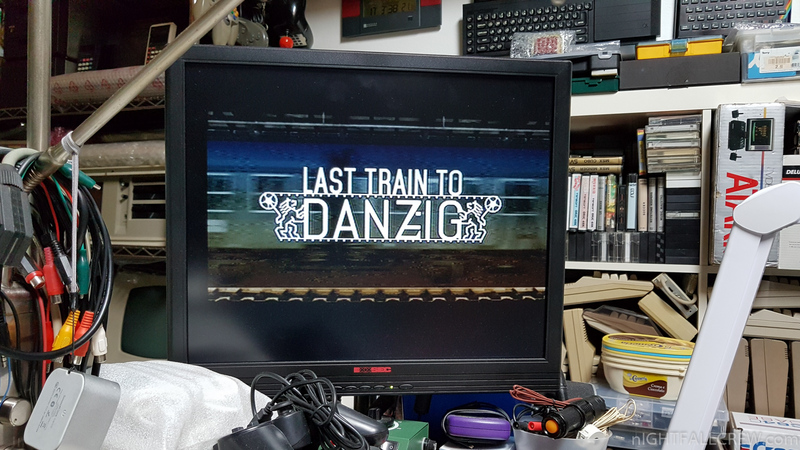 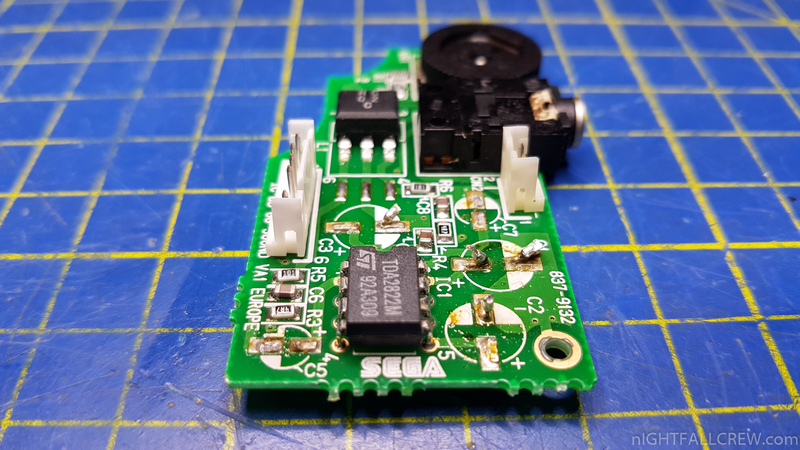 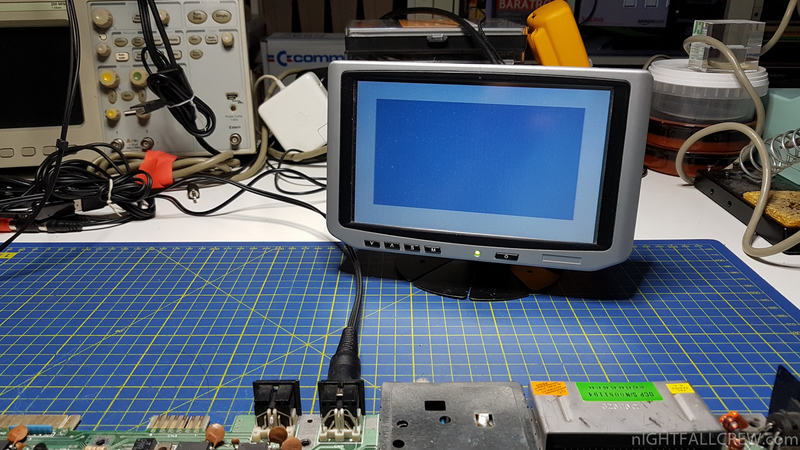 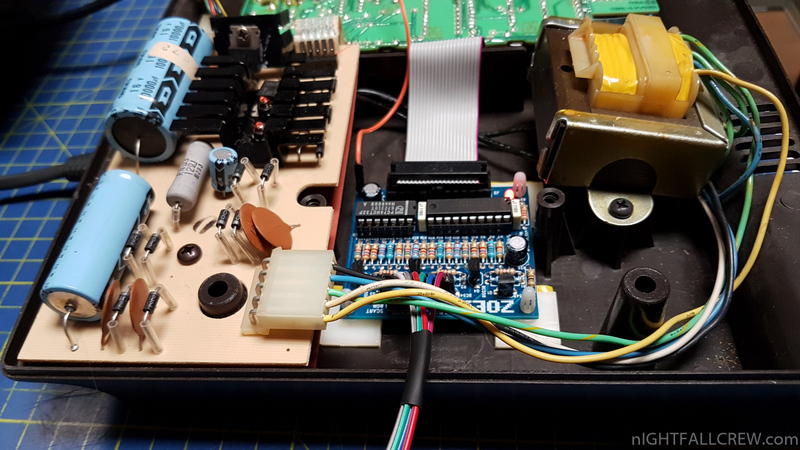 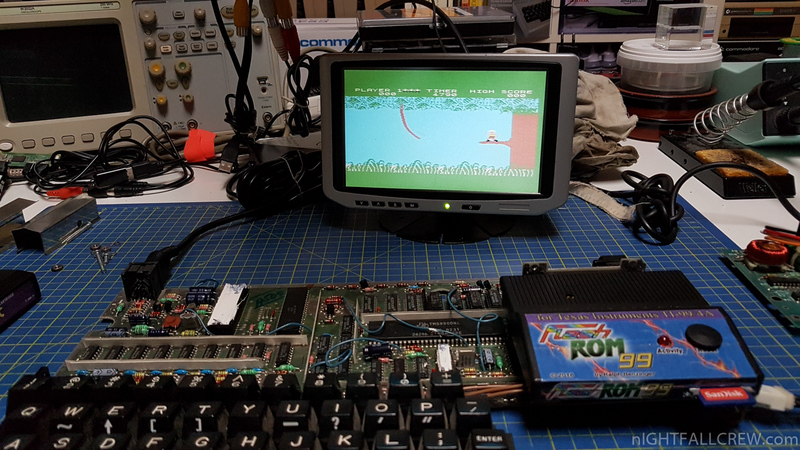 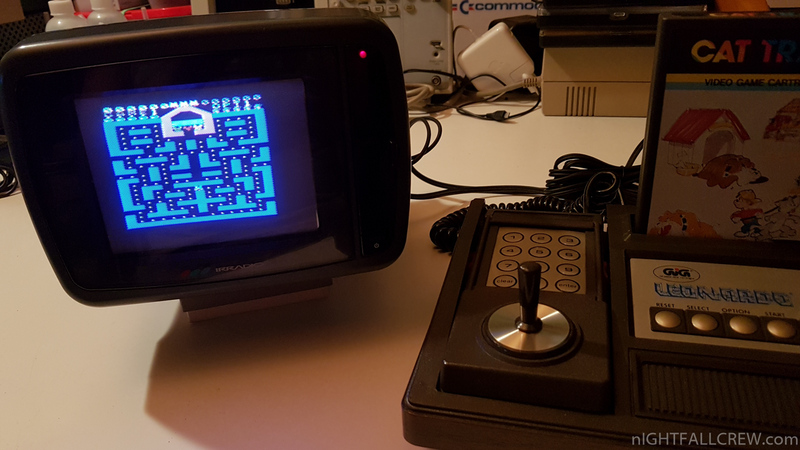 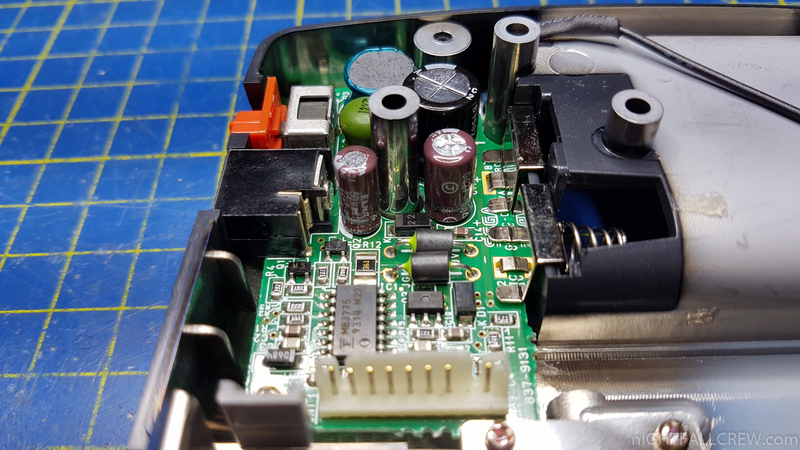 This mod like the previous one works ONLY with Mattel Intellivision consoles equipped with the LM1886 (D/A Video Matrix Converter) chips. 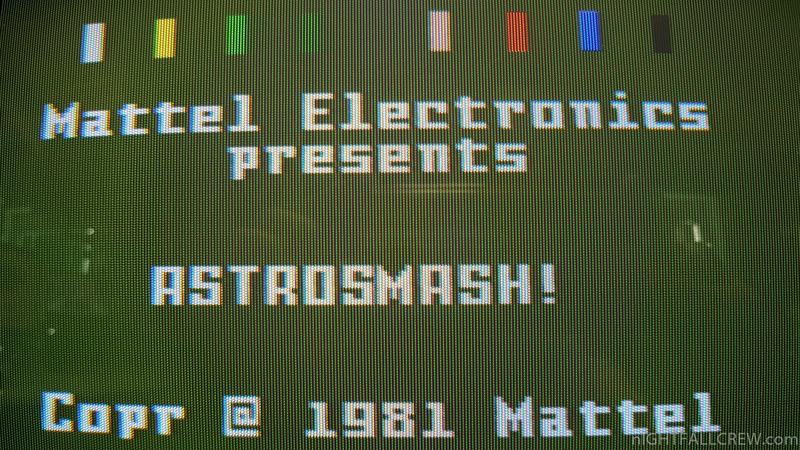 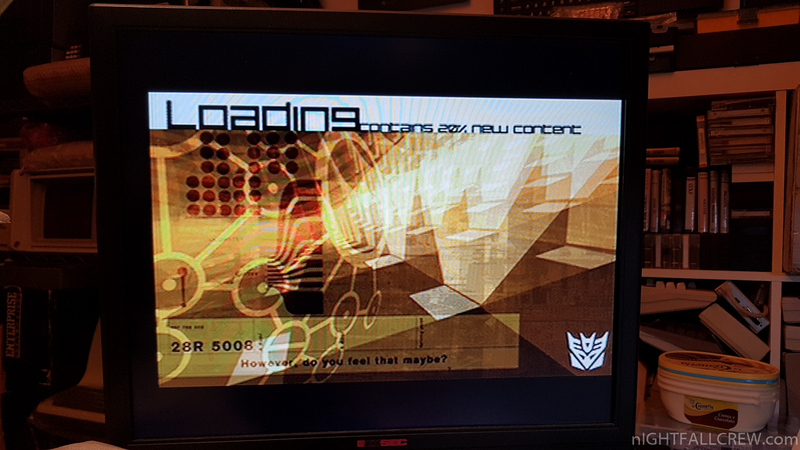 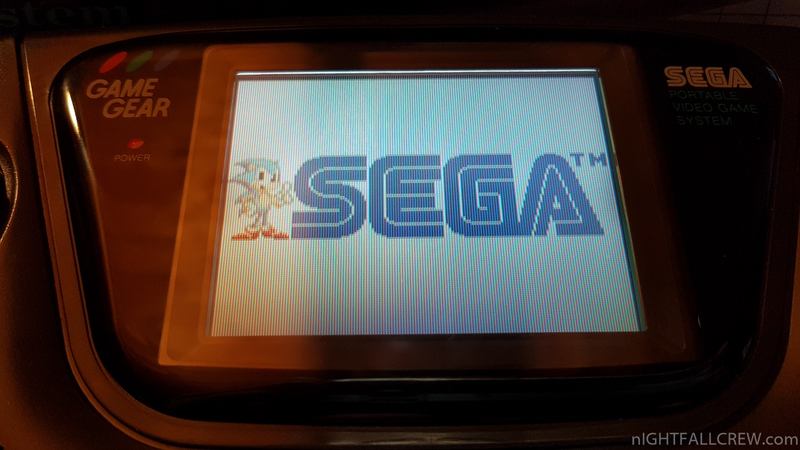 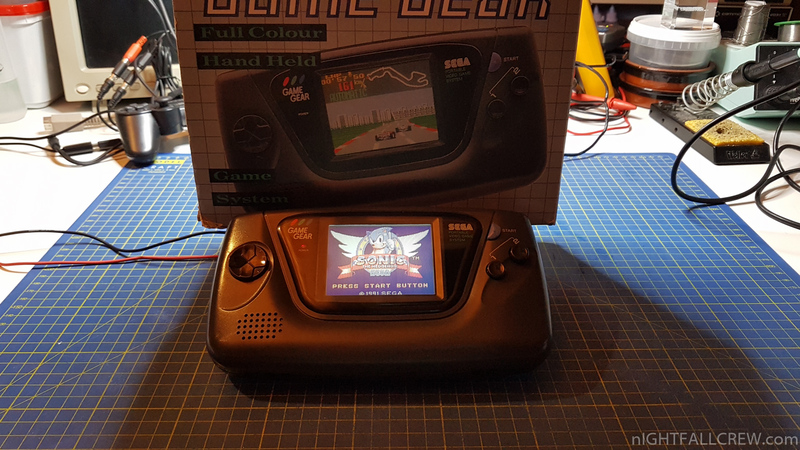 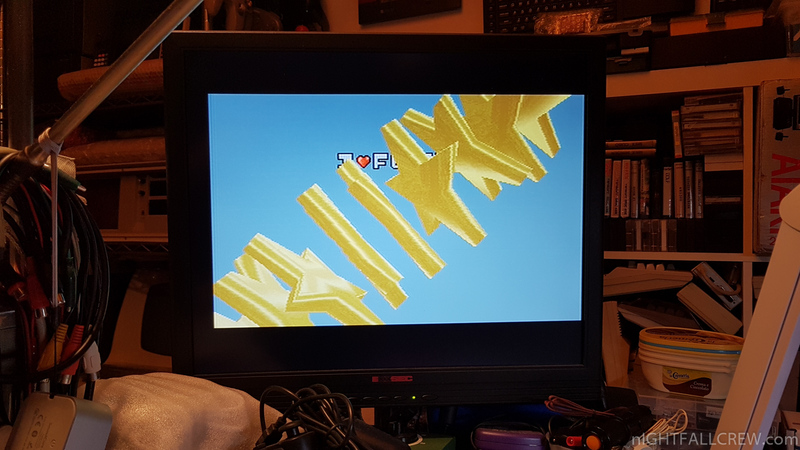 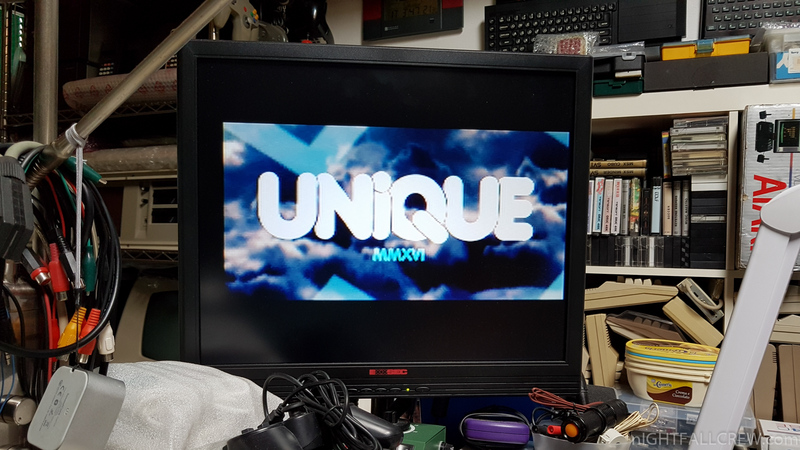 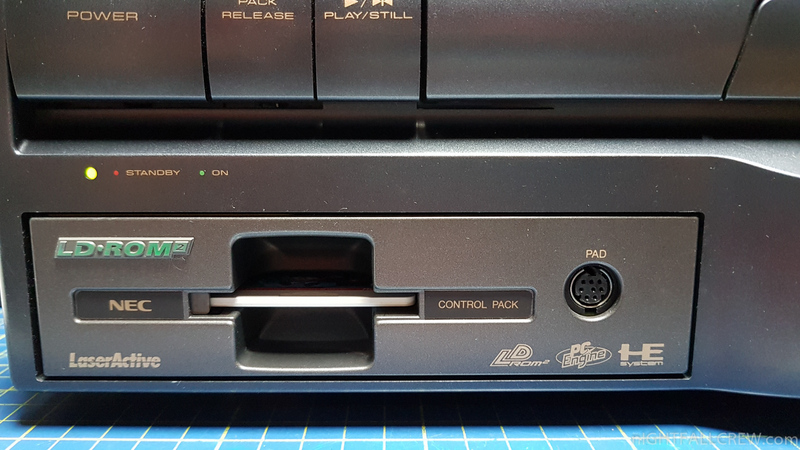 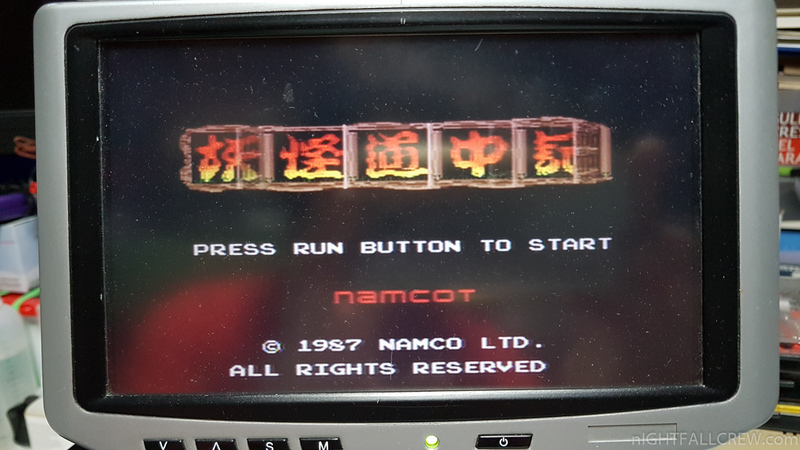 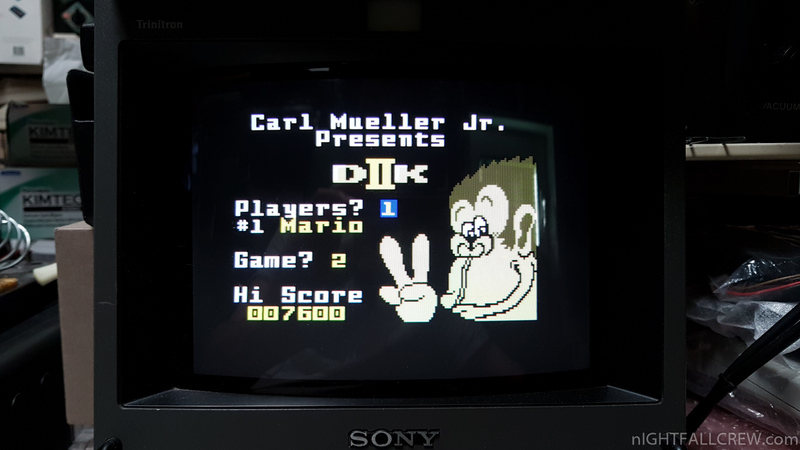 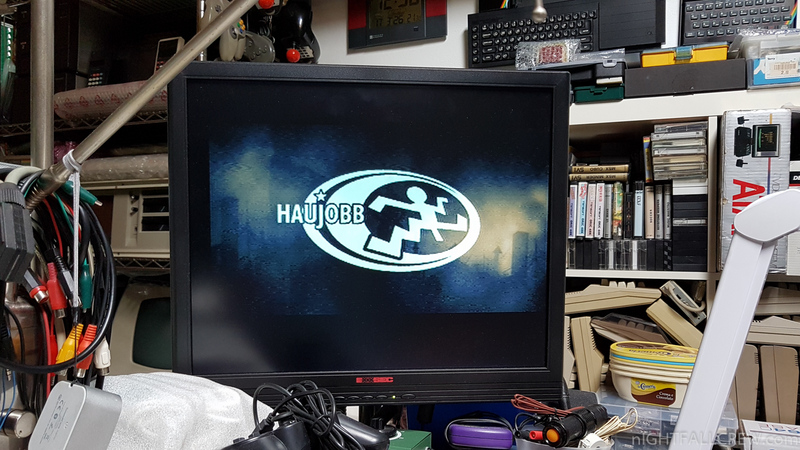 Example: PAL/SECAM but not UK/NTSC (USA). 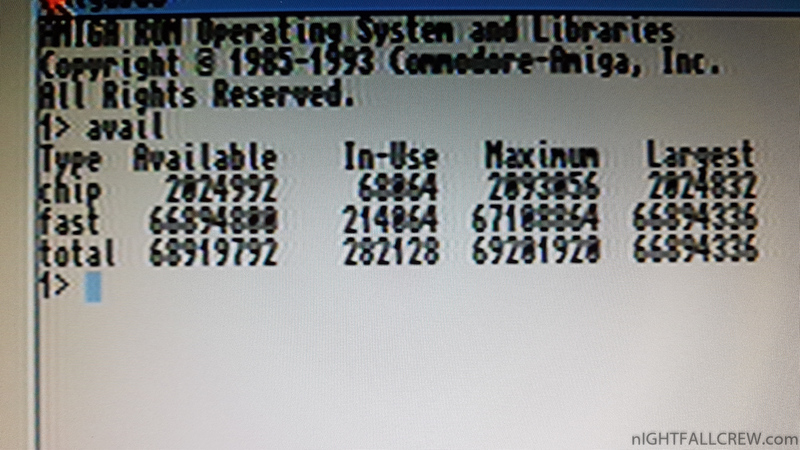 Better to check, open the console and check. 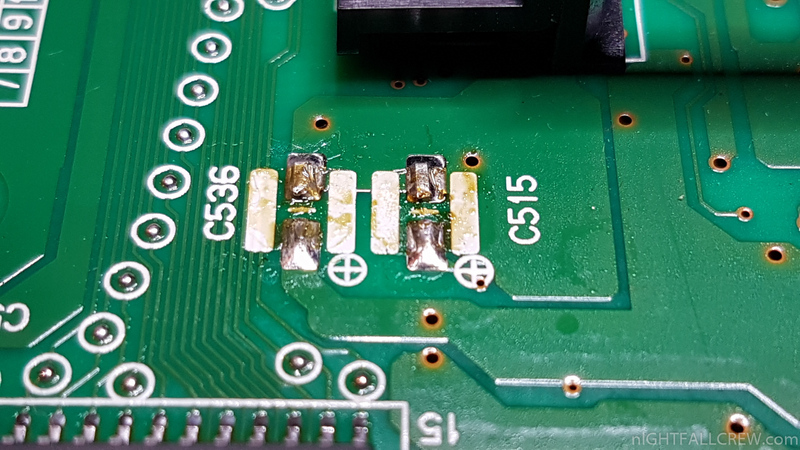 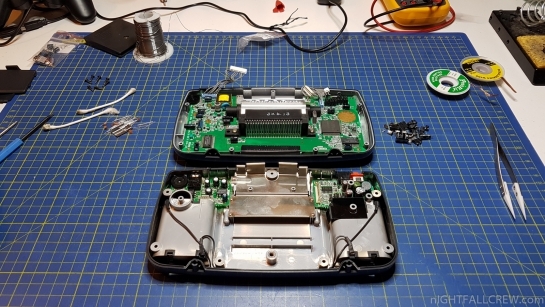 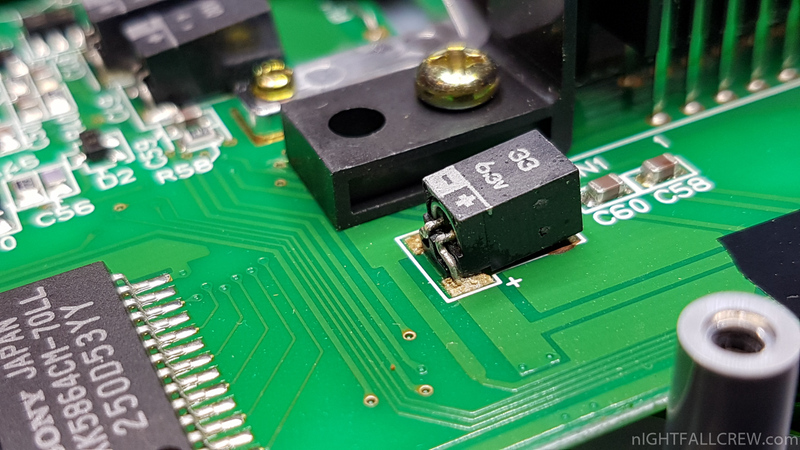 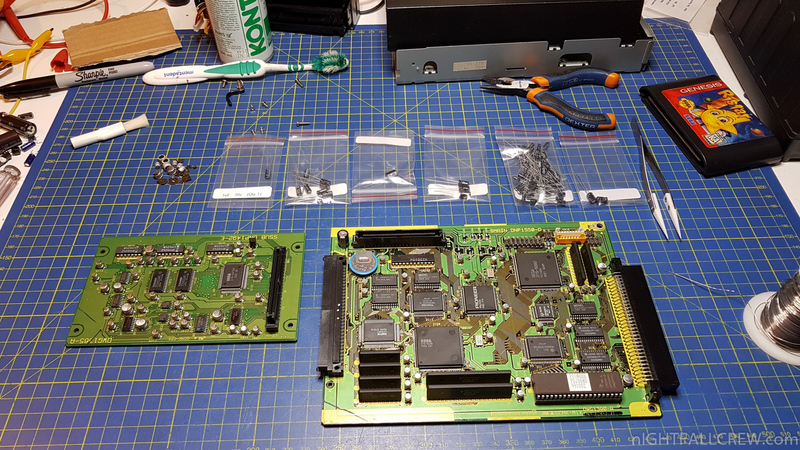 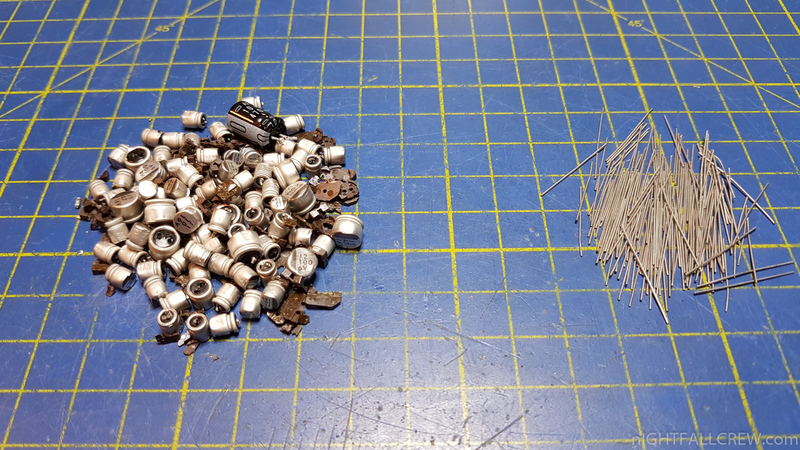 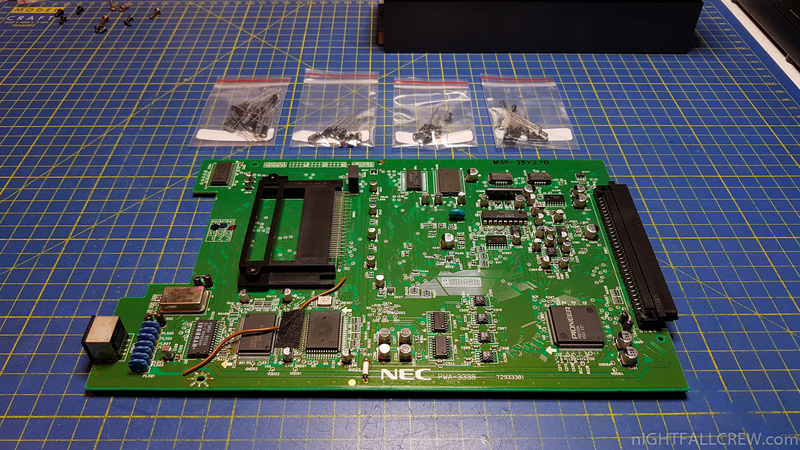 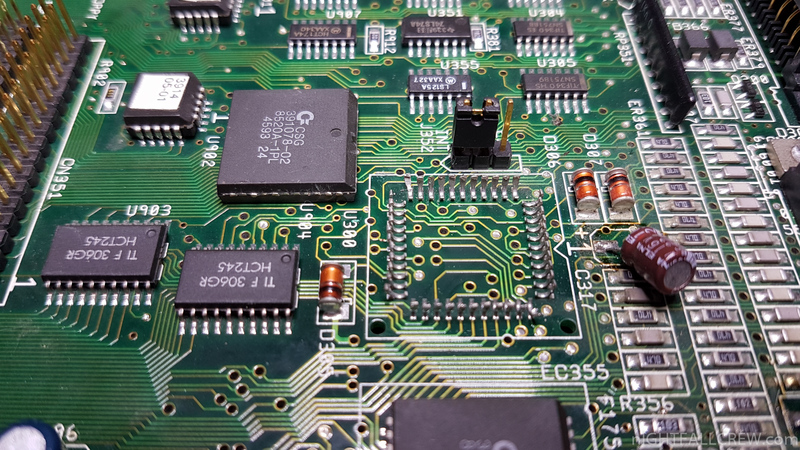 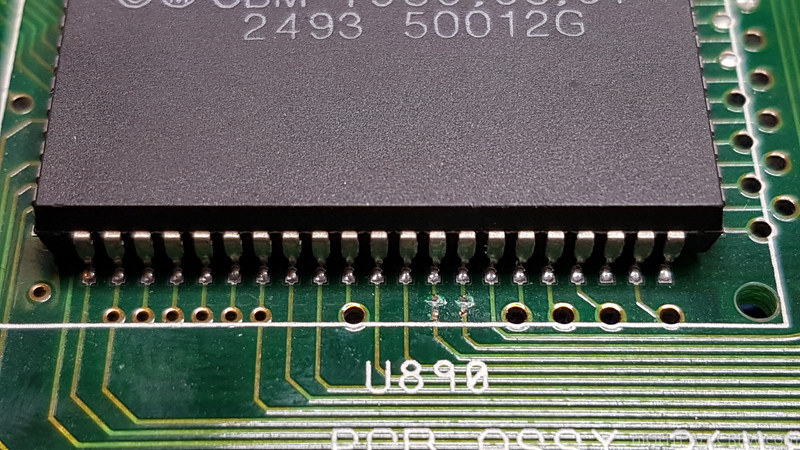 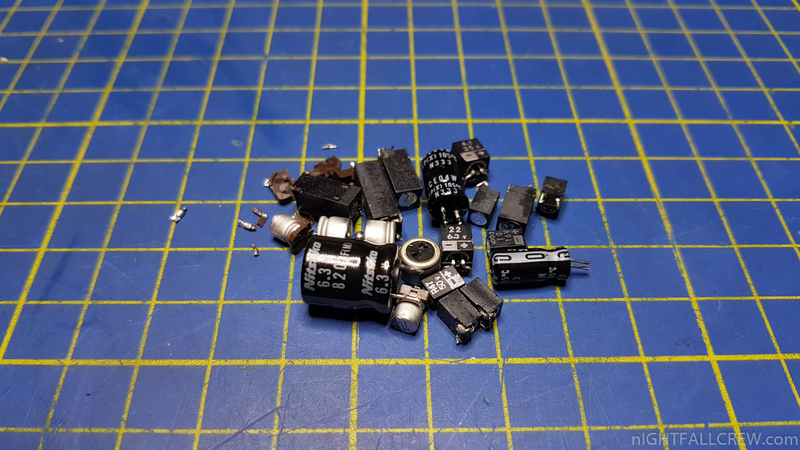 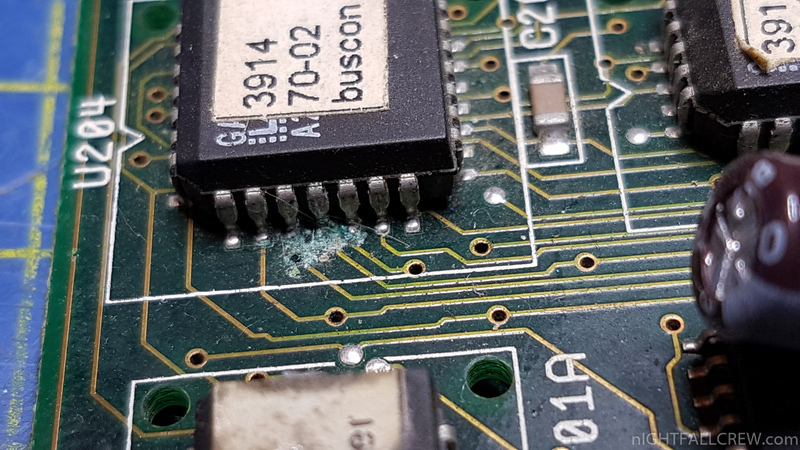 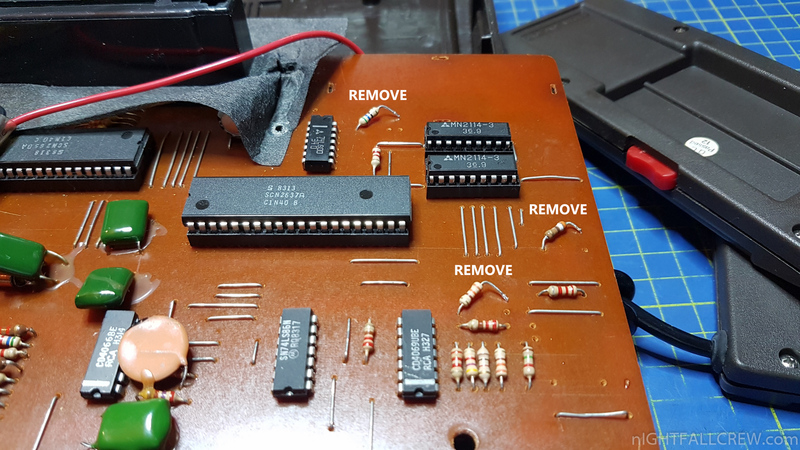 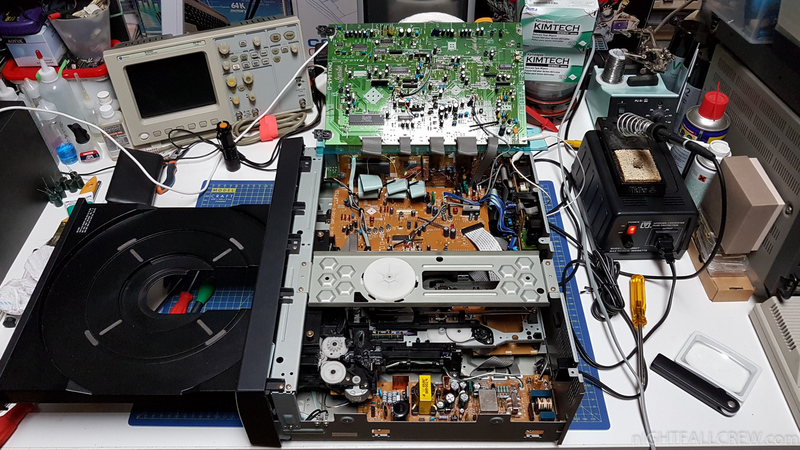 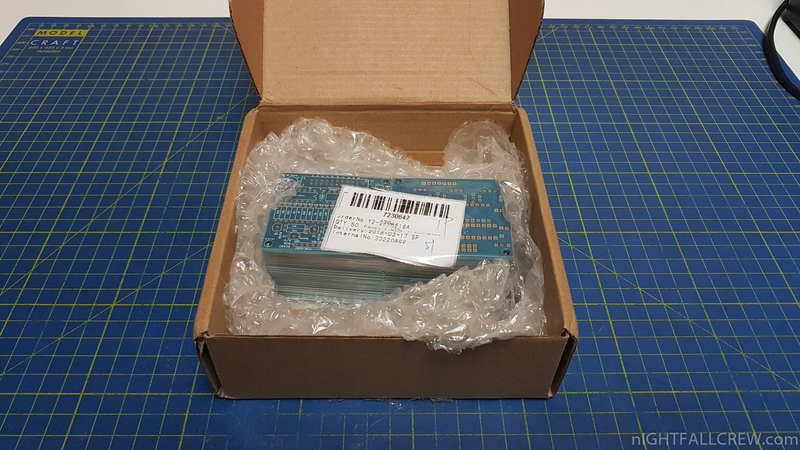 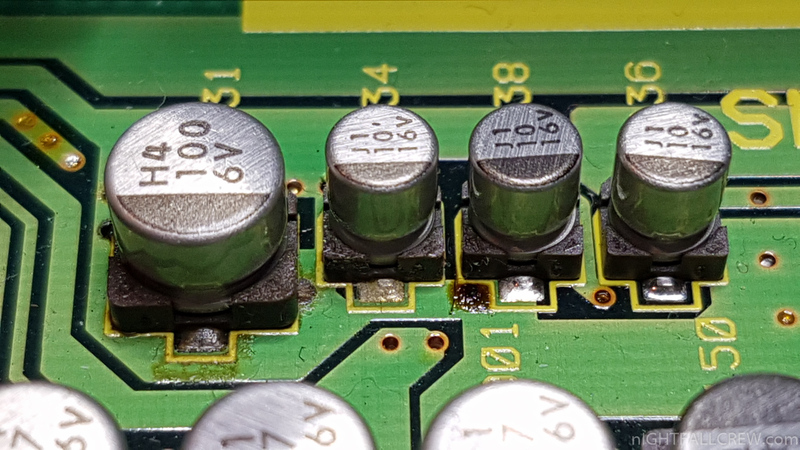 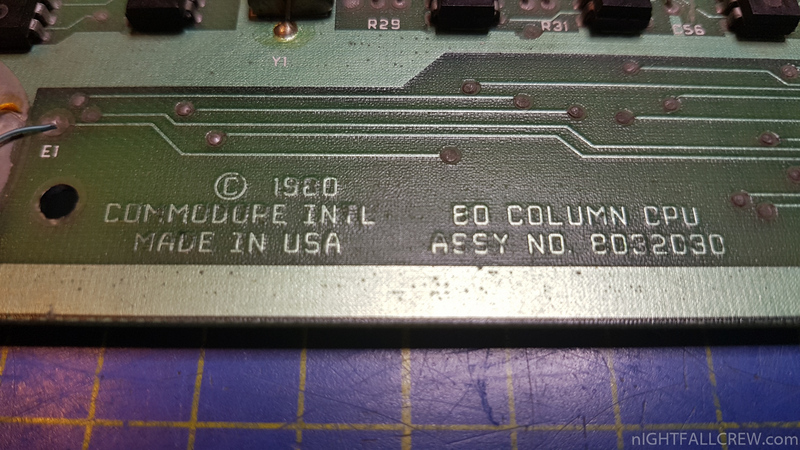 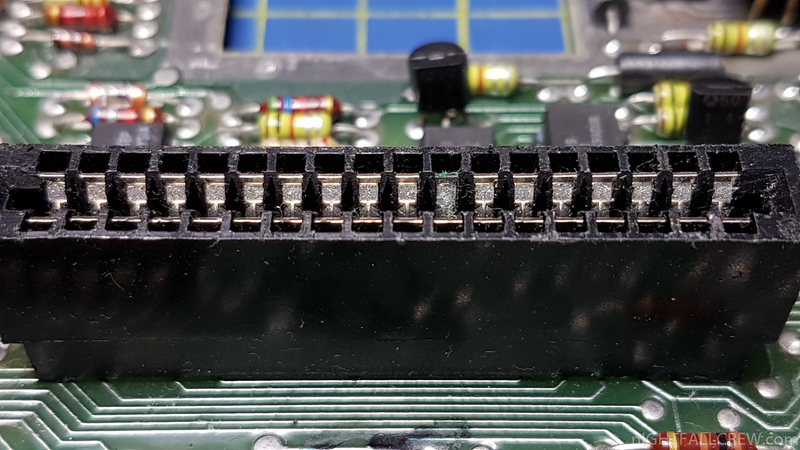 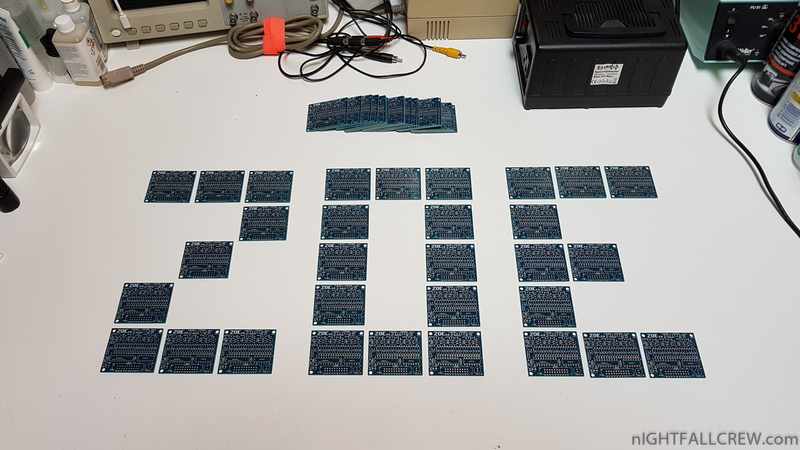 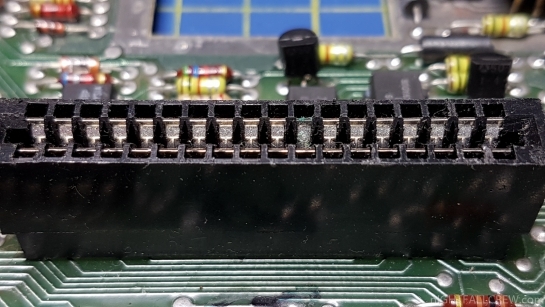 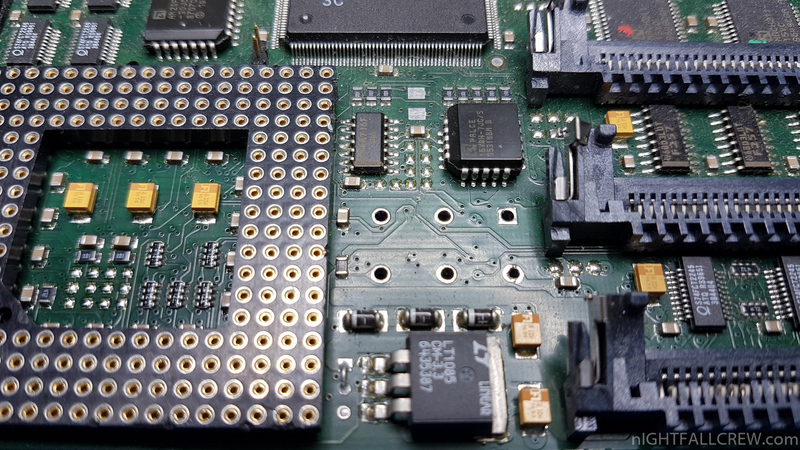 For console disassembly, desoldering the LM1886 or other connections you can consult the documentation of the previous version. 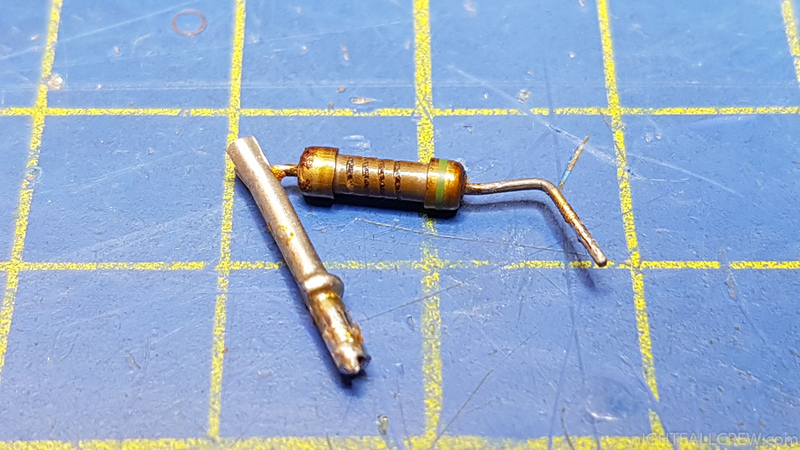 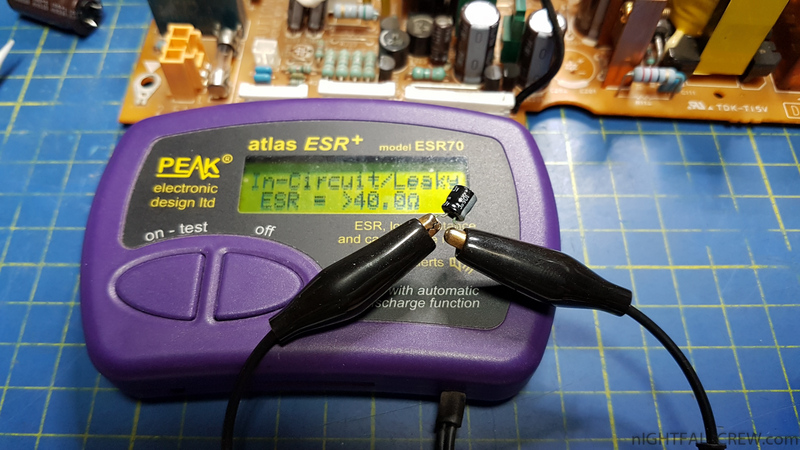 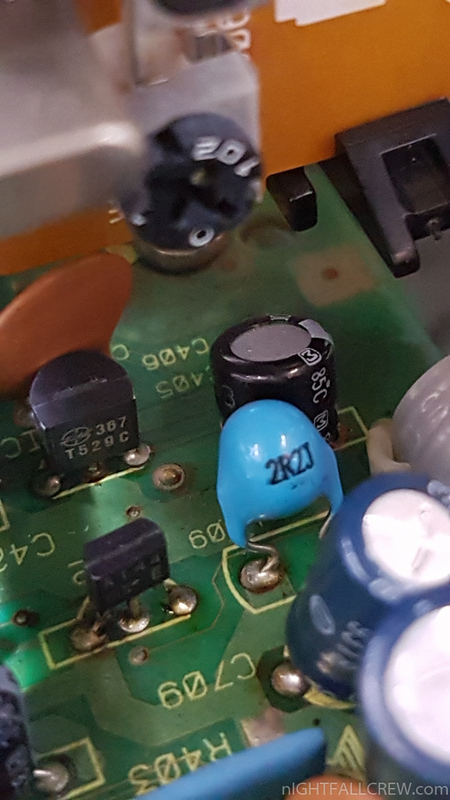 This is a simple hack to overclock the Cyberstorm MK2 at 100Mhz without needed adapters or simply replacing the oscillator which causes instability or malfunctions. 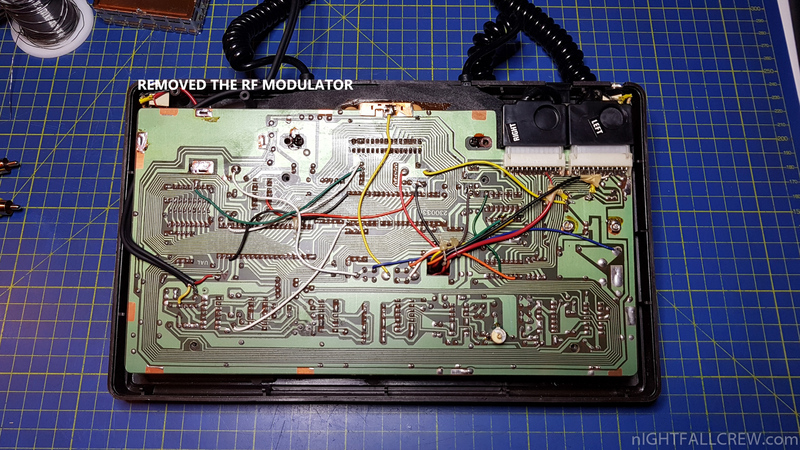 The hack consists downgrading the Cyberstorm MK2 to 040 simply by moving the two resistors can you see marked in the photos. 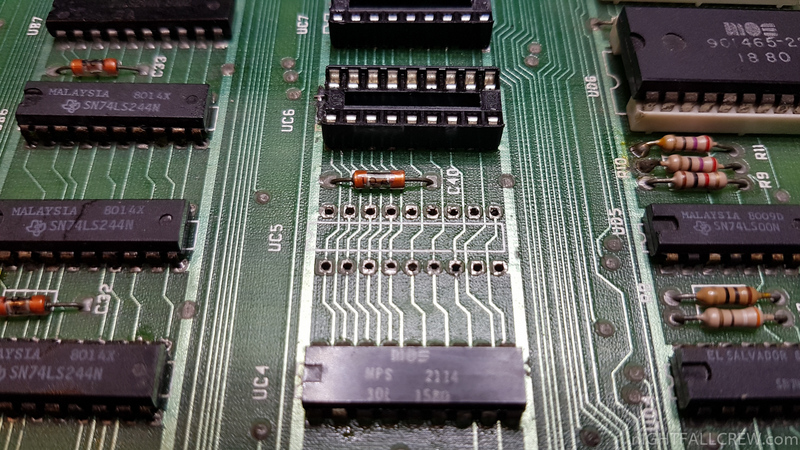 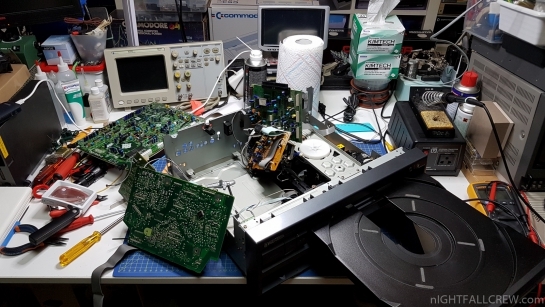 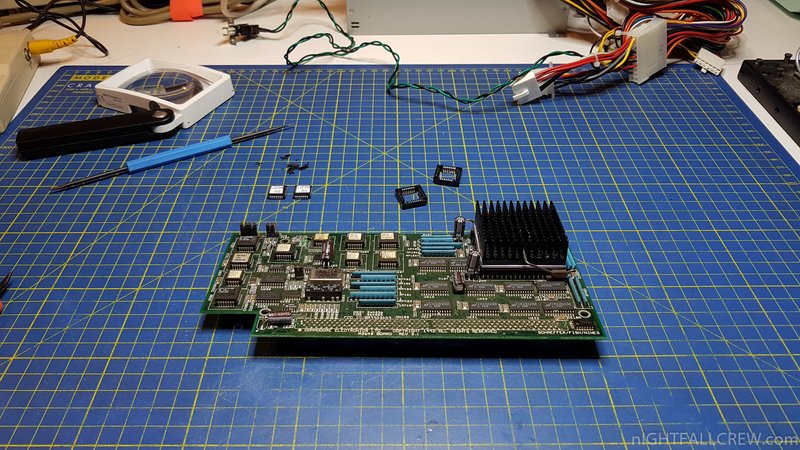 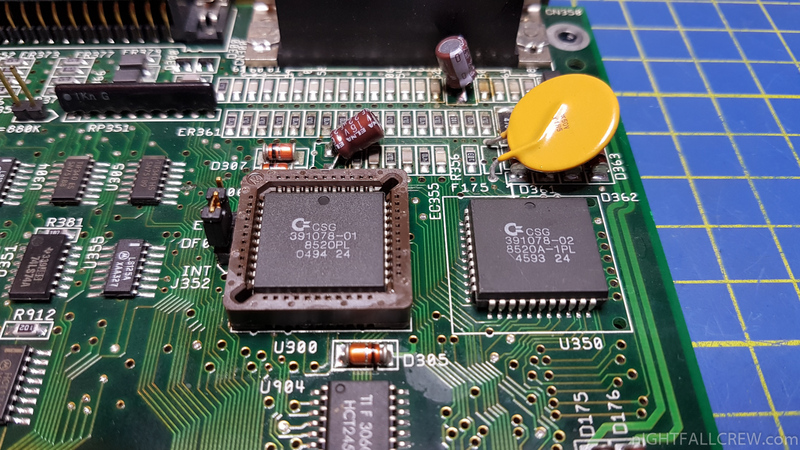 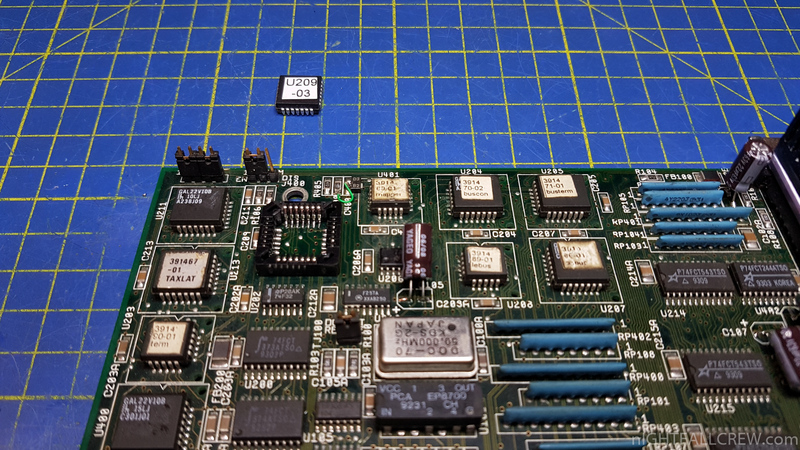 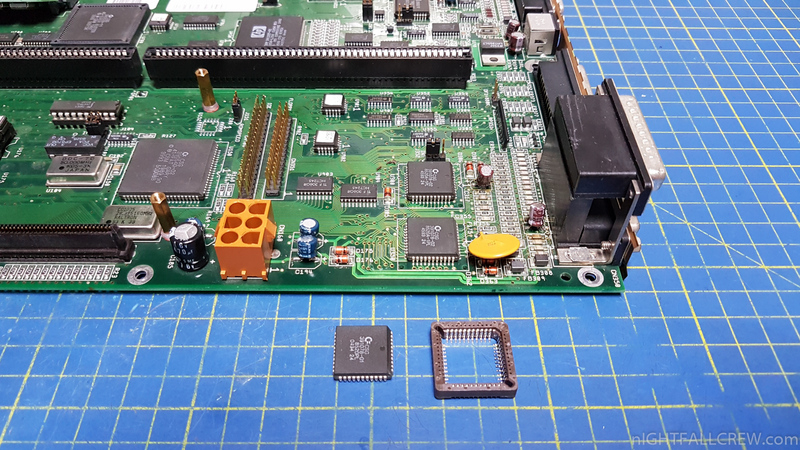 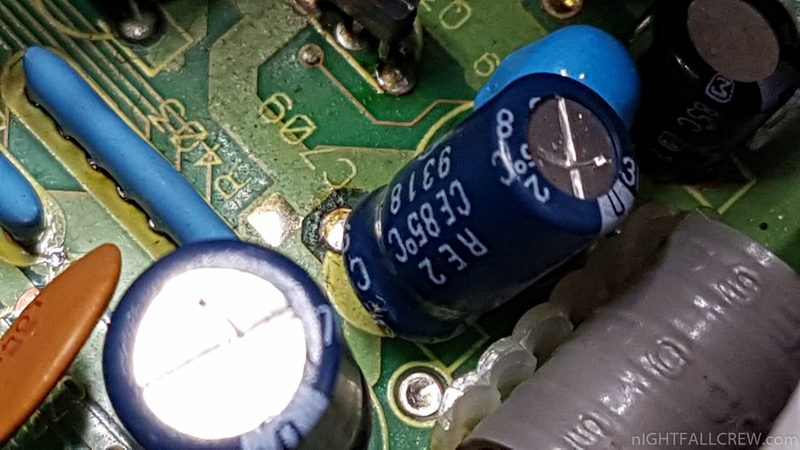 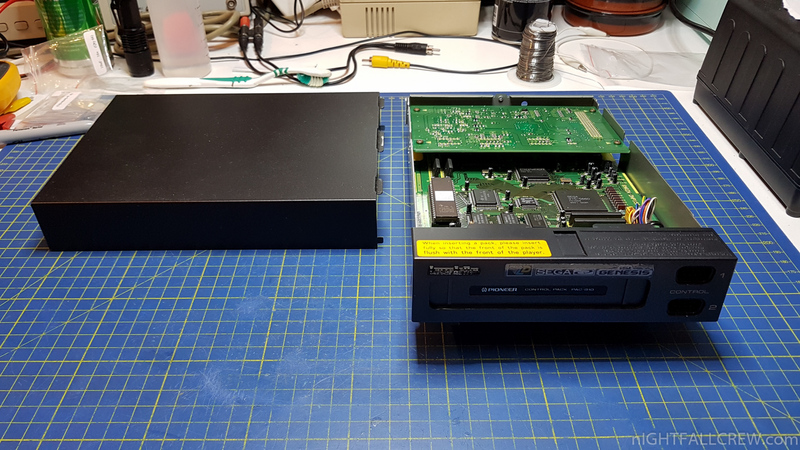 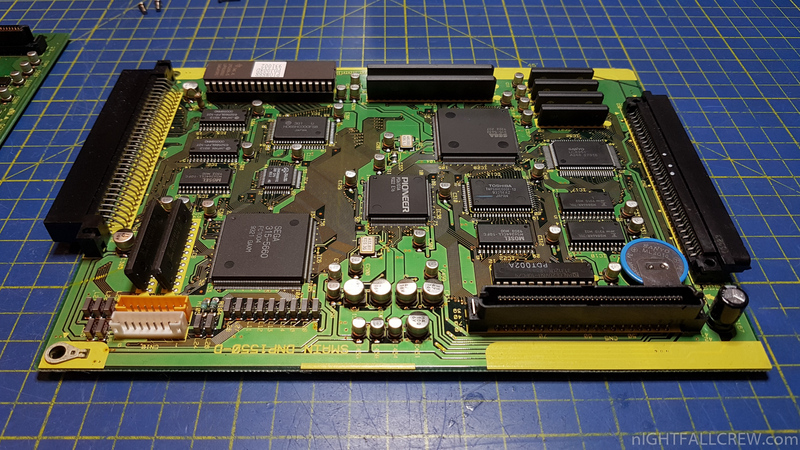 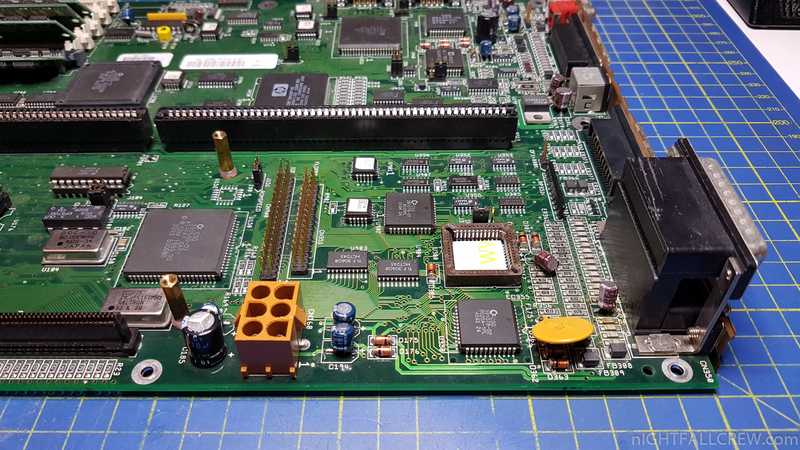 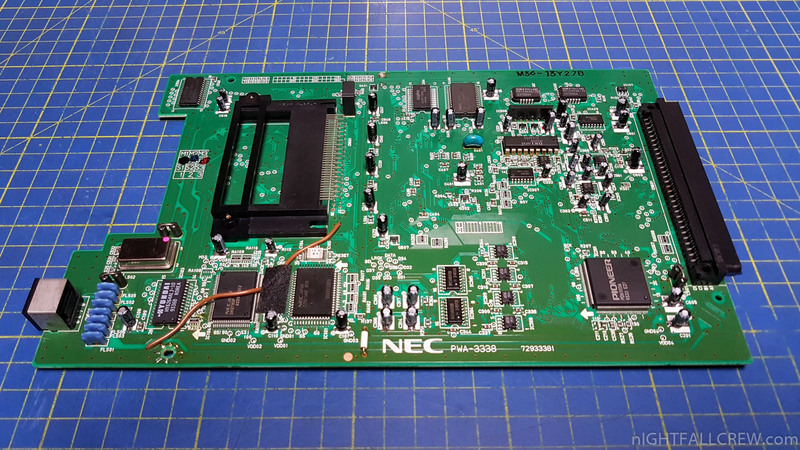 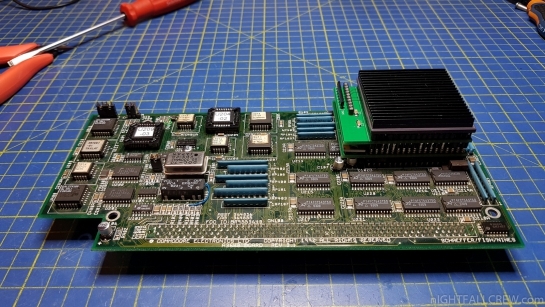 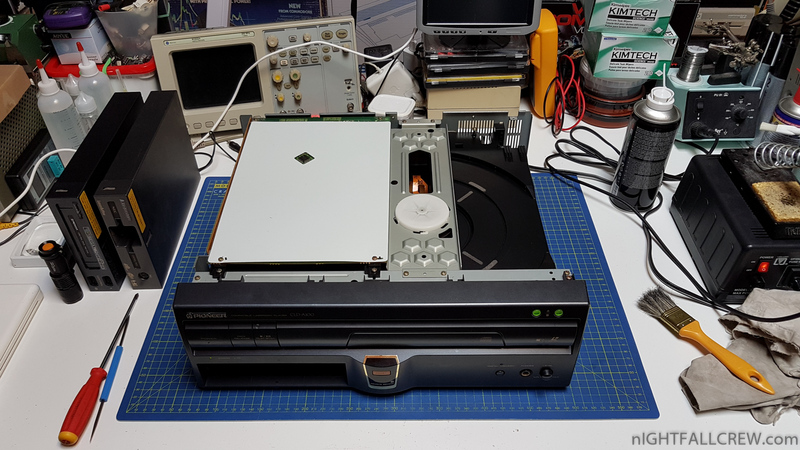 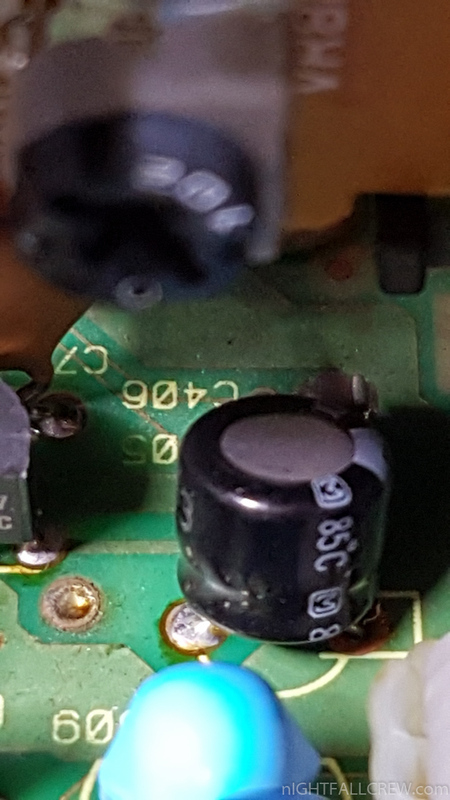 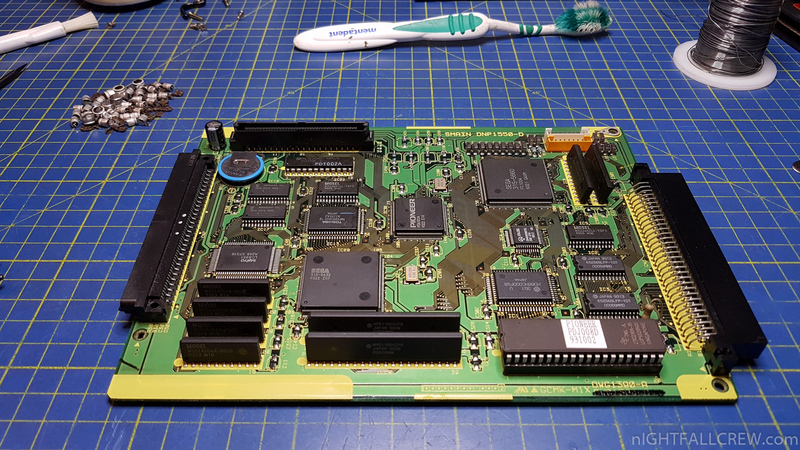 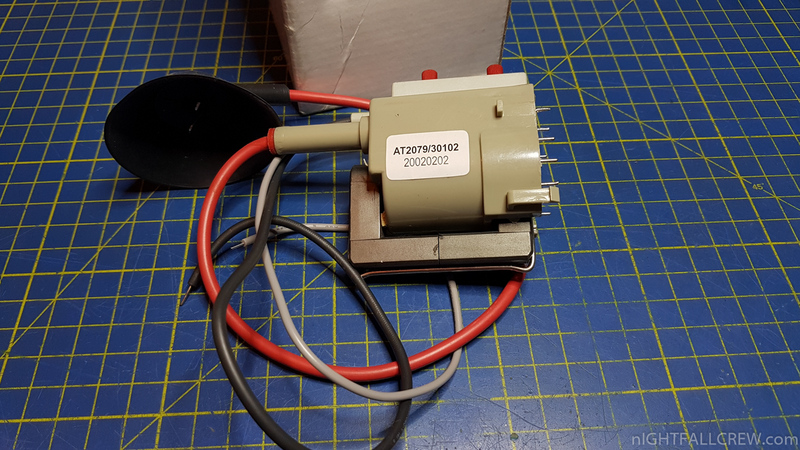 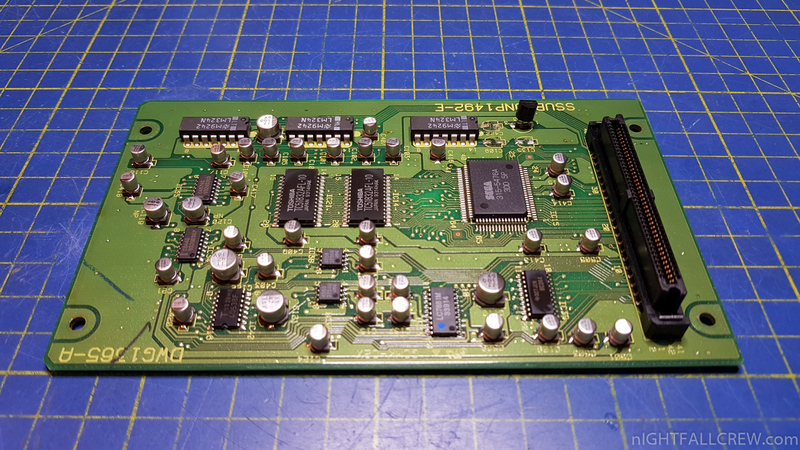 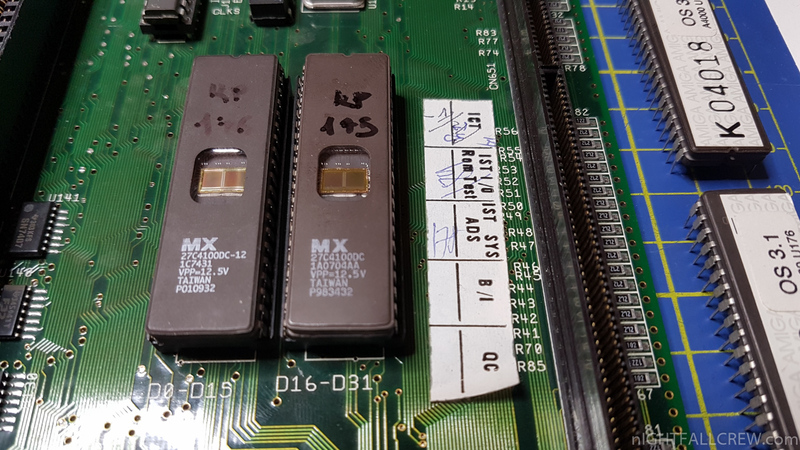 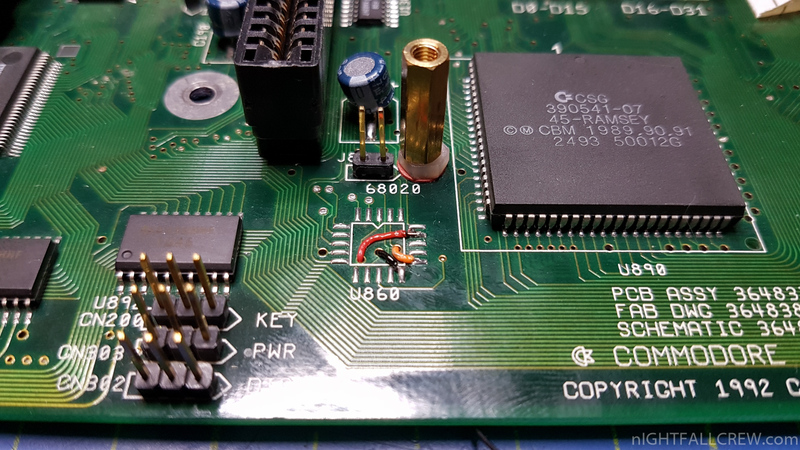 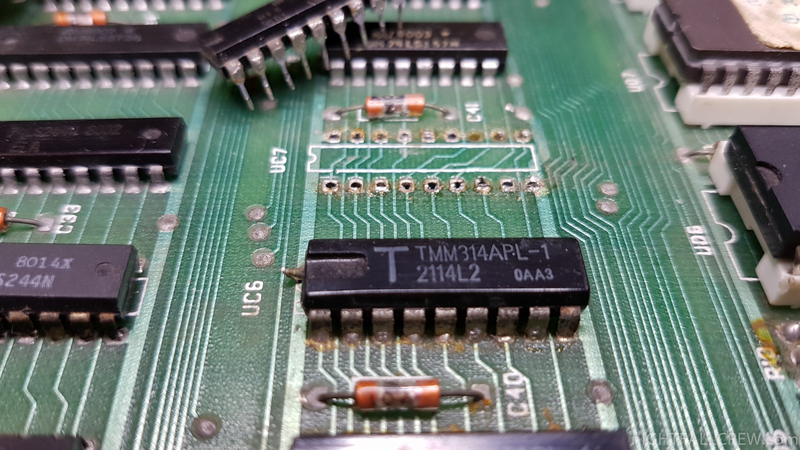 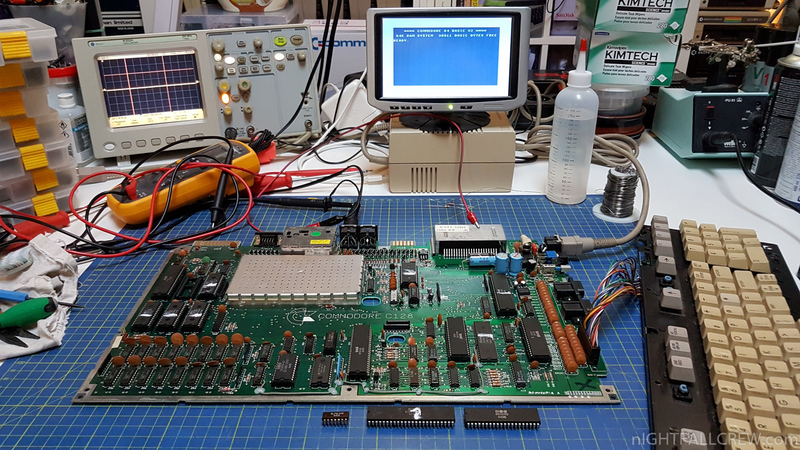 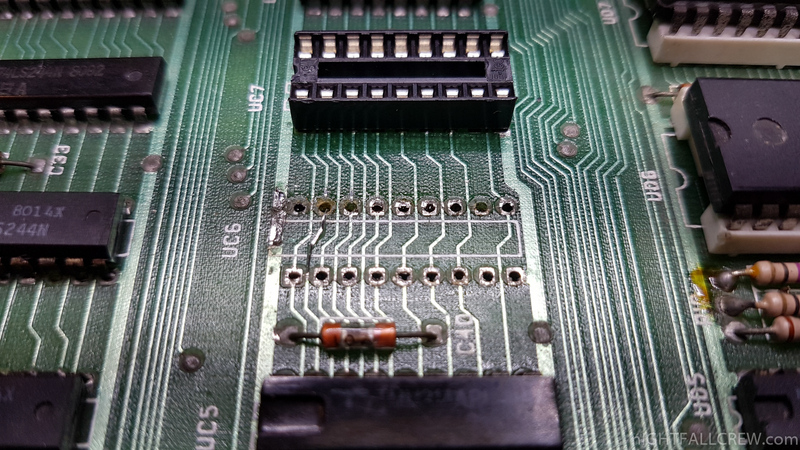 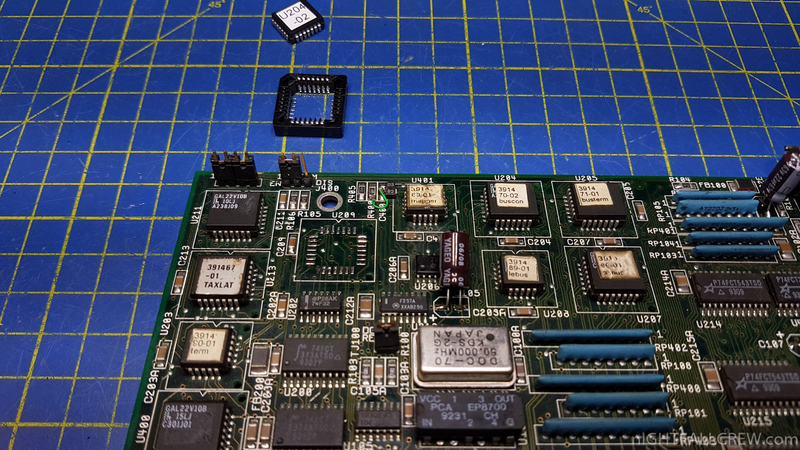 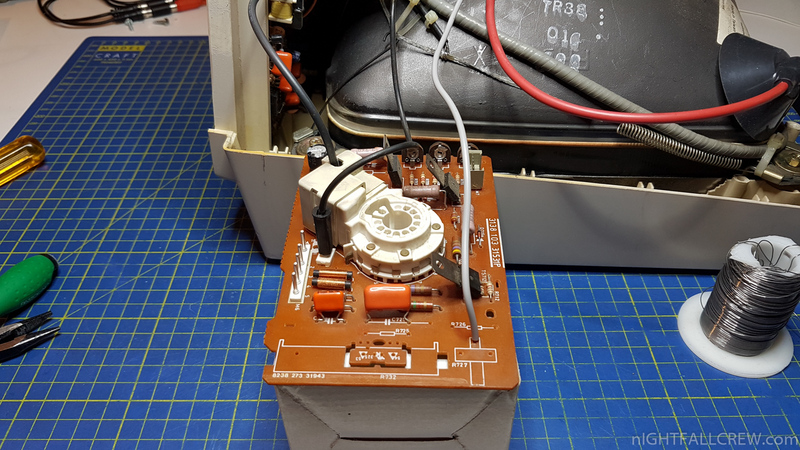 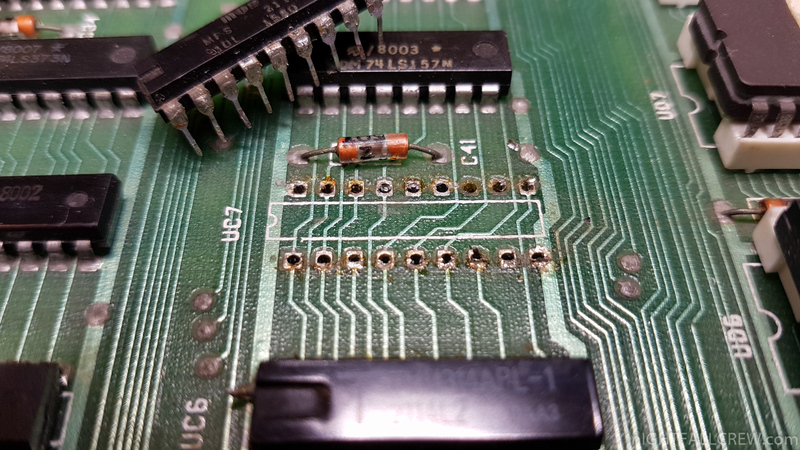 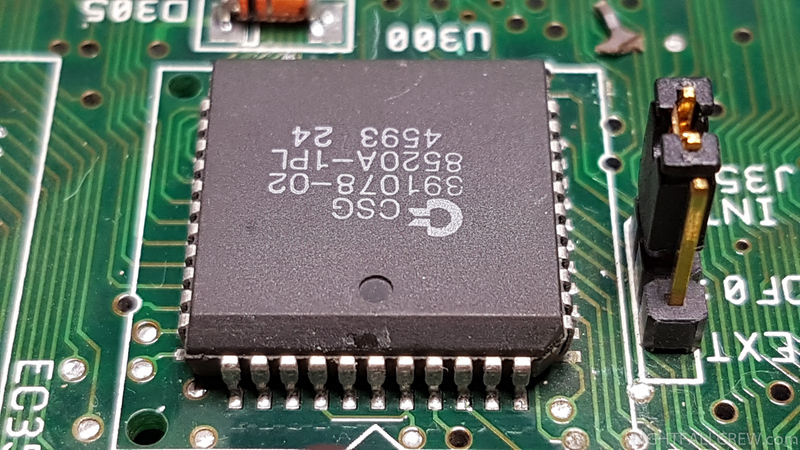 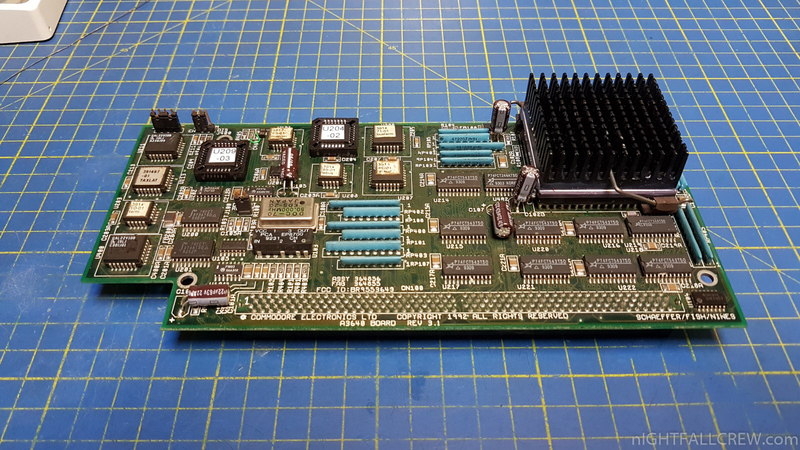 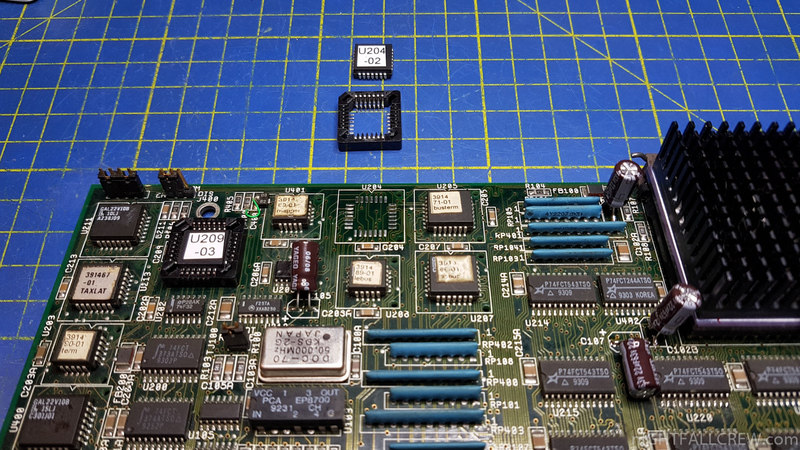 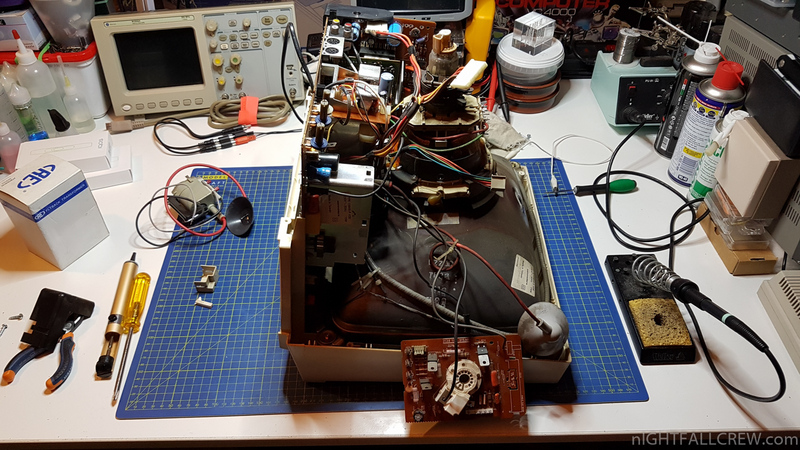 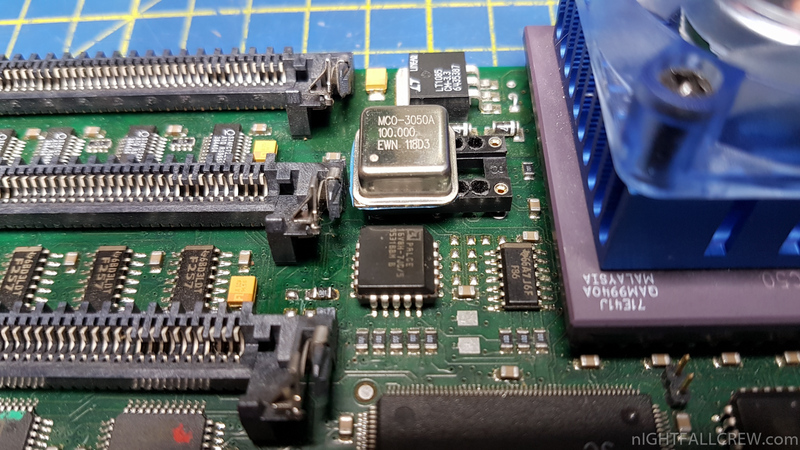 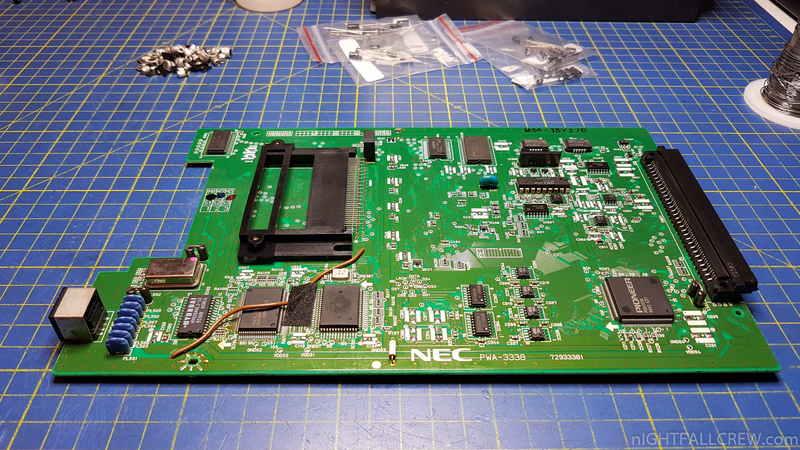 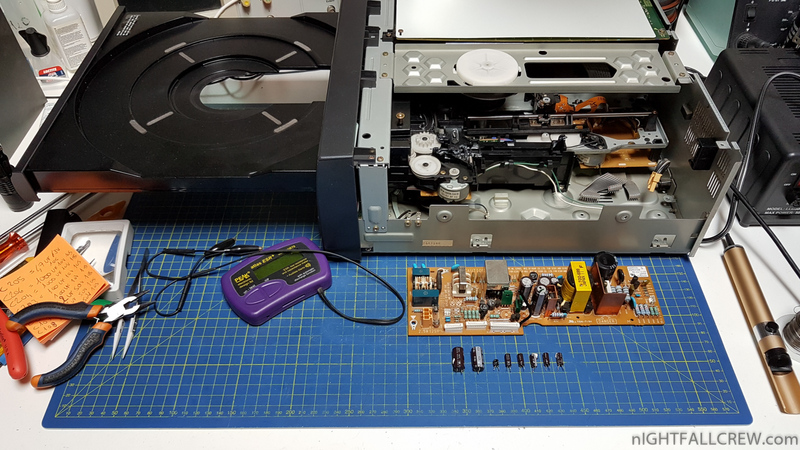 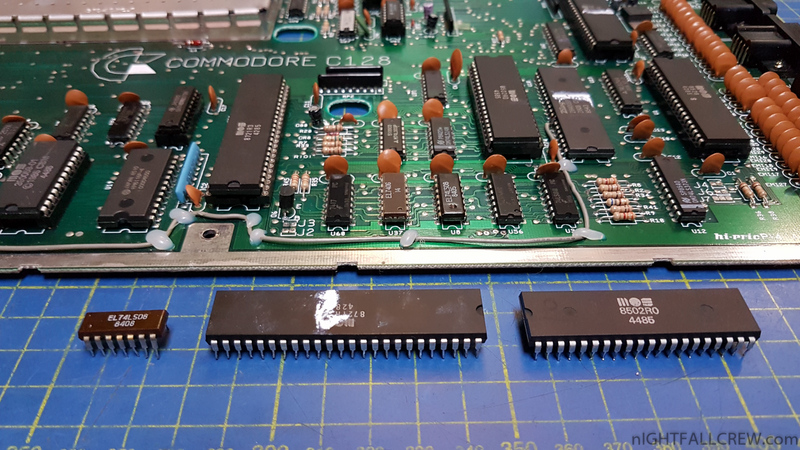 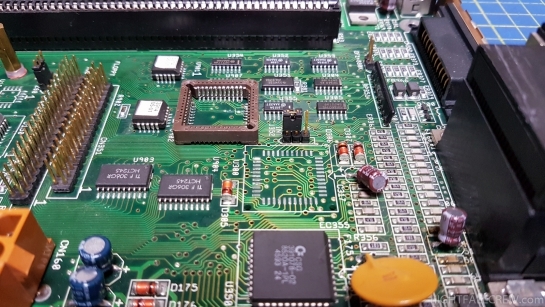 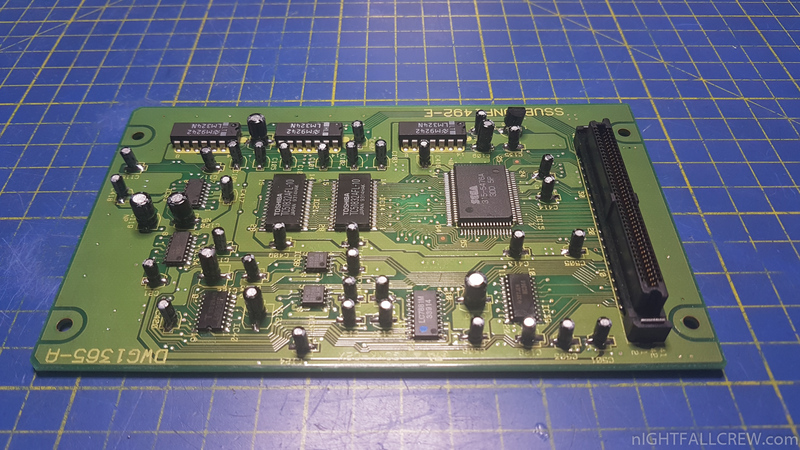 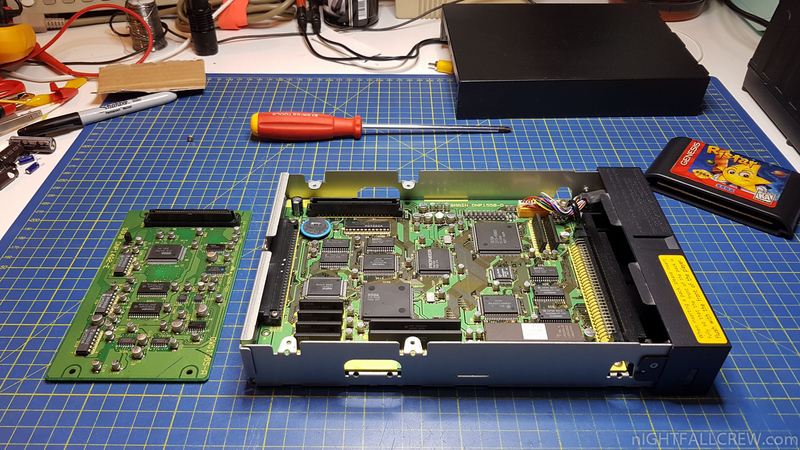 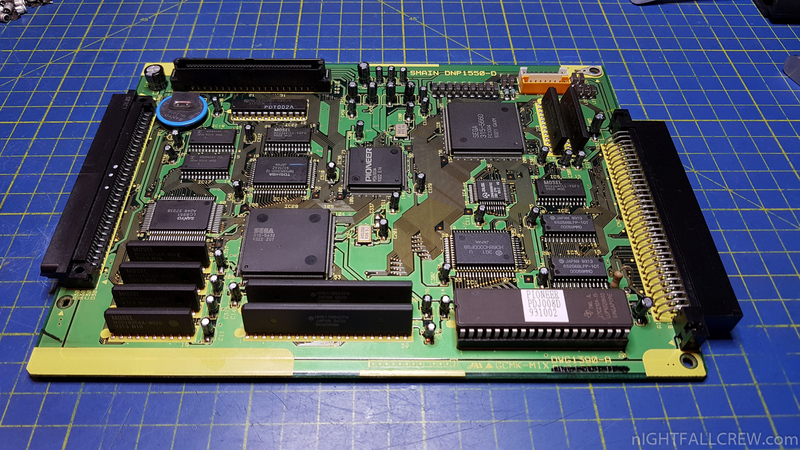 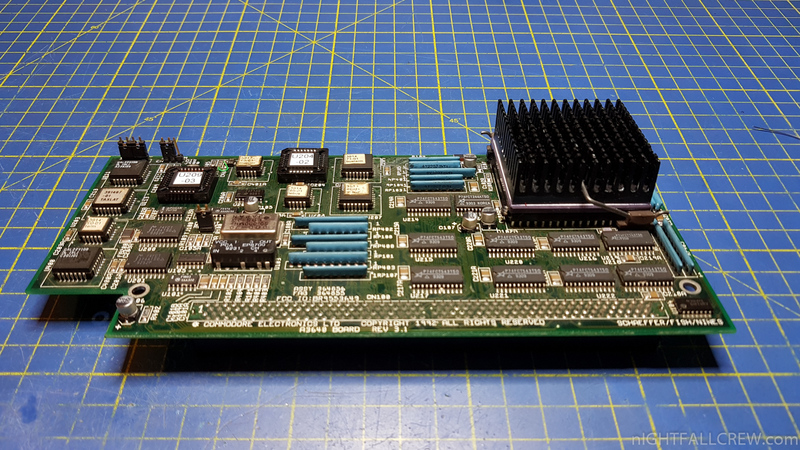 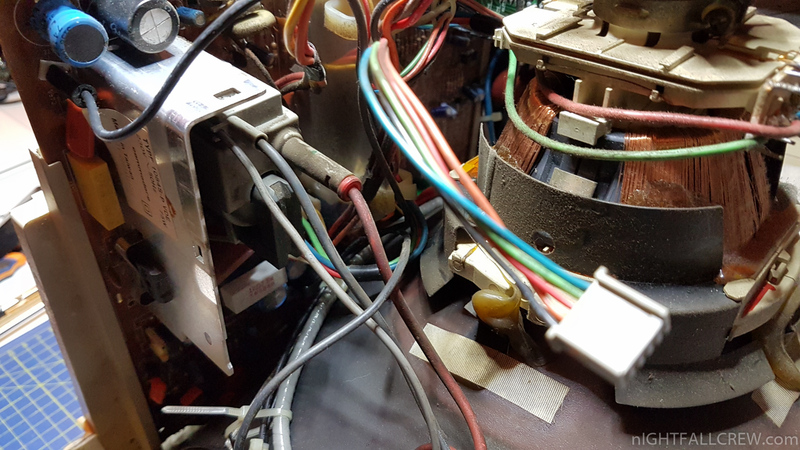 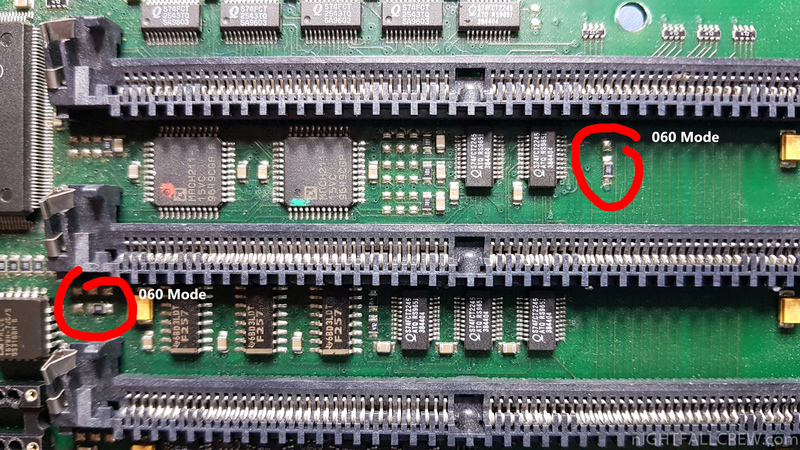 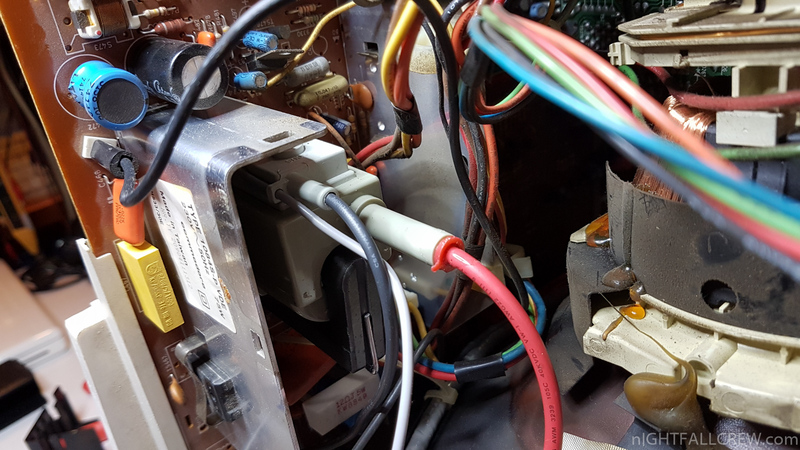 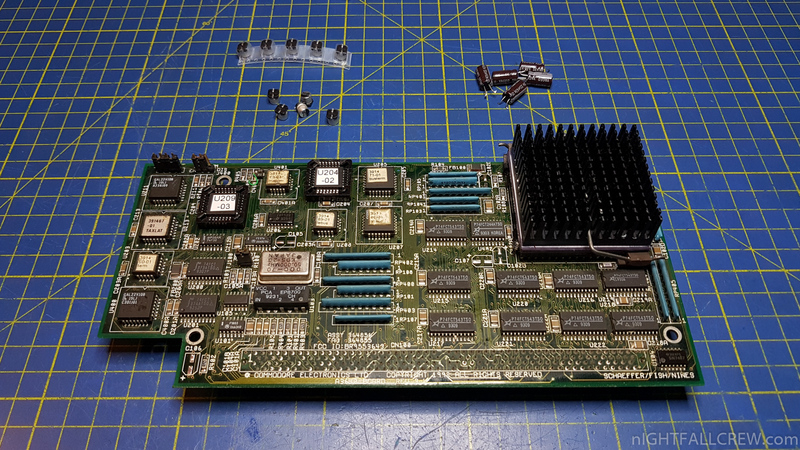 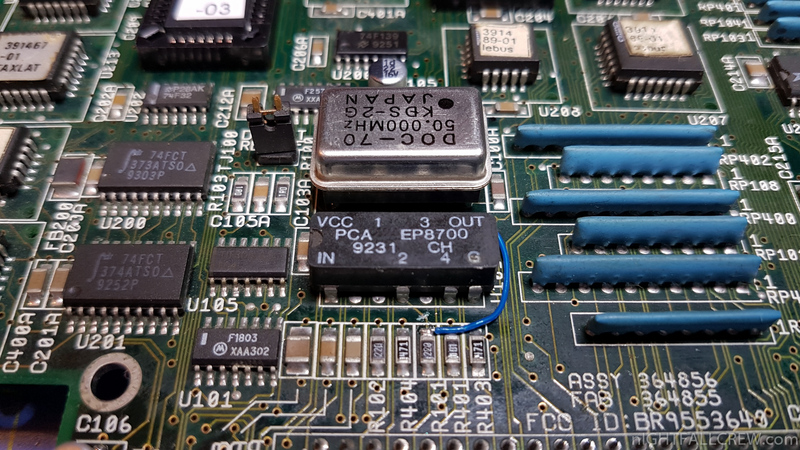 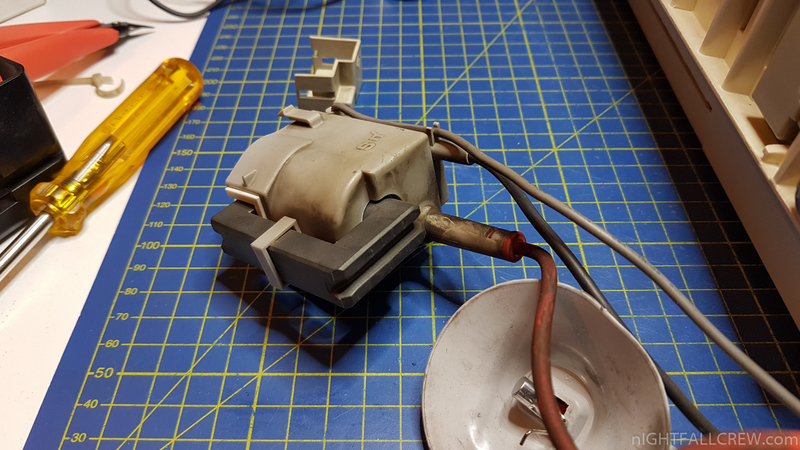 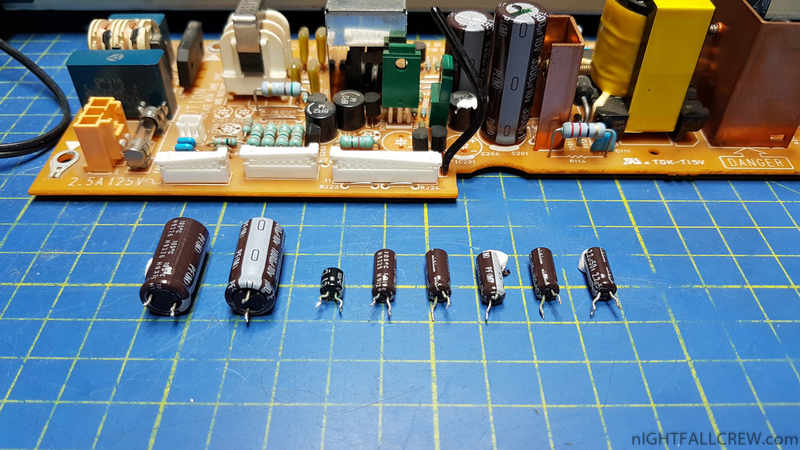 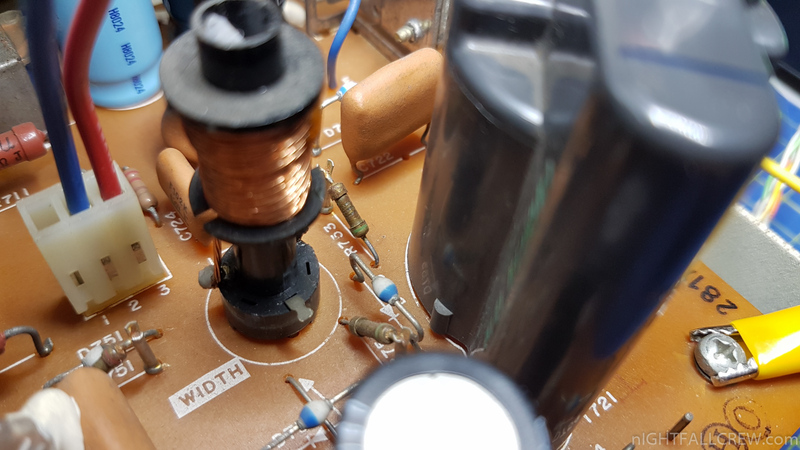 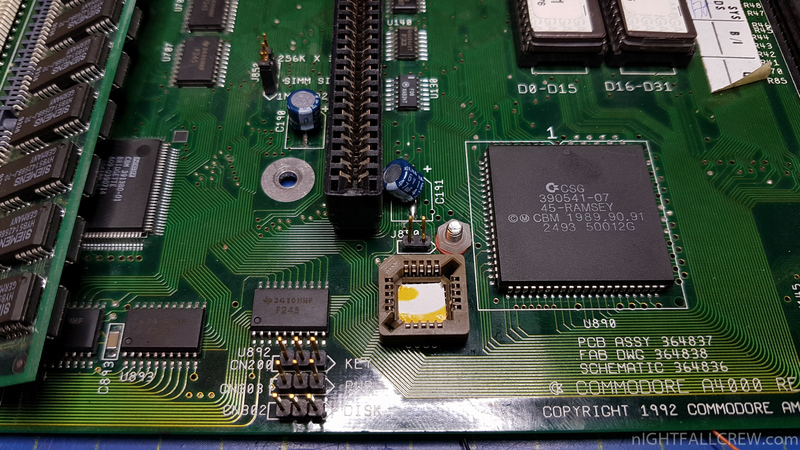 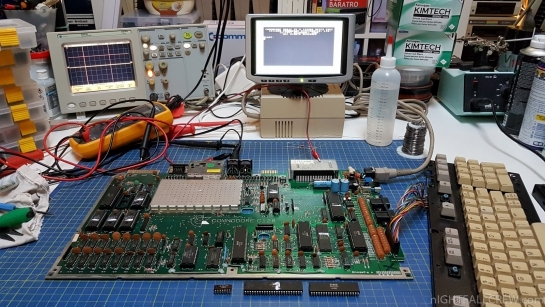 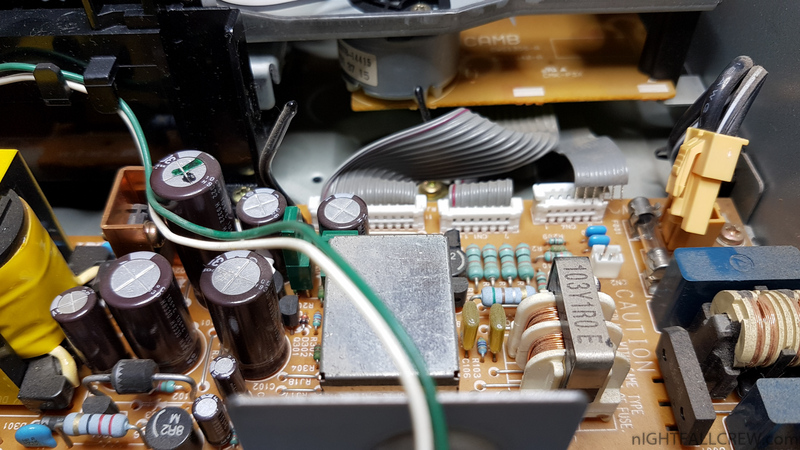 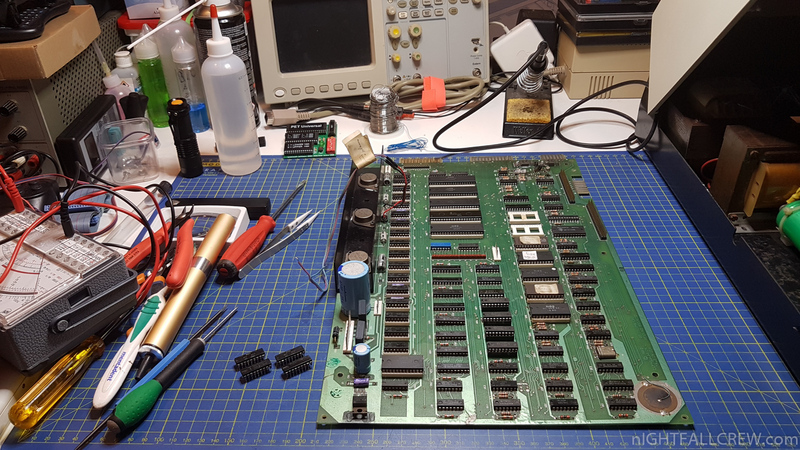 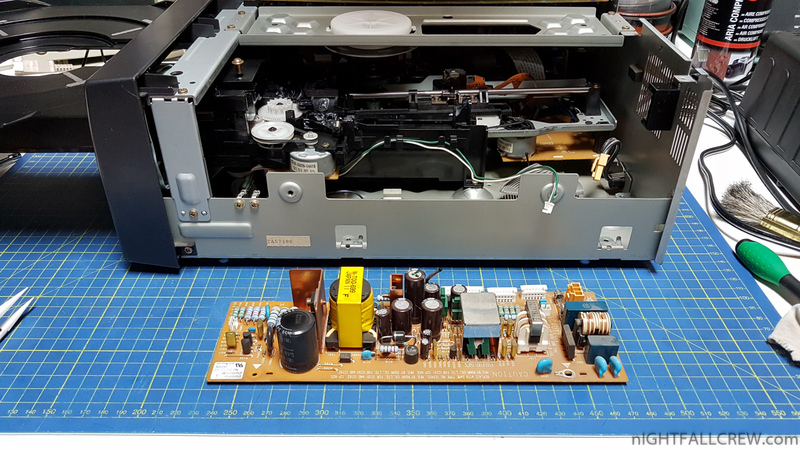 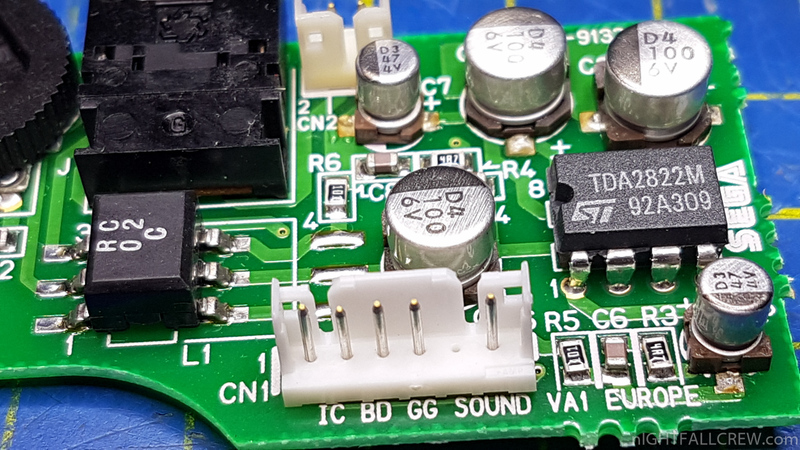 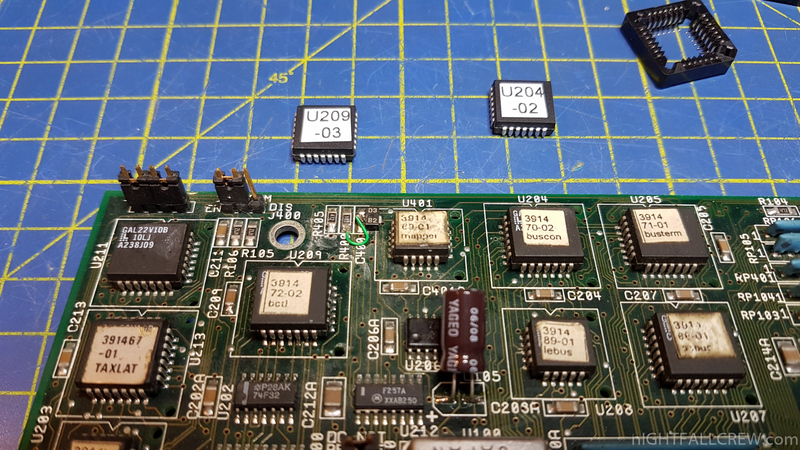 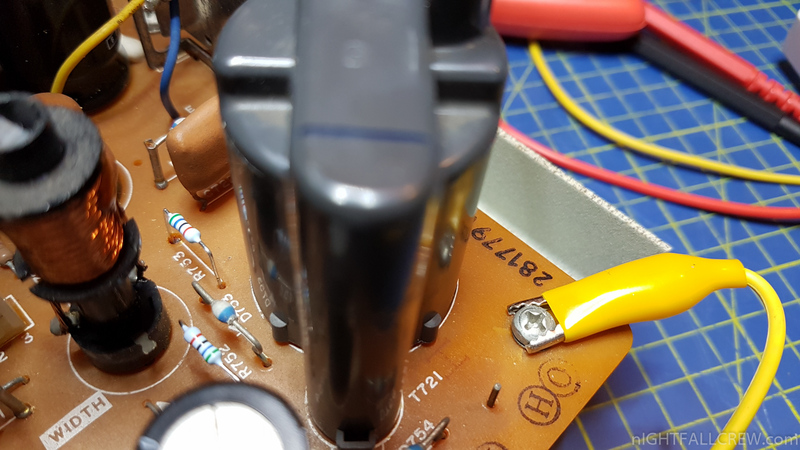 For some CPU or MK2 models it is also advisable to replacing the original voltage regulator LT1085CM at 3.3v with this one LT912CM 3.5v but if the amiga is stable after hours of operation you can also avoid the replacing the voltage regulator. 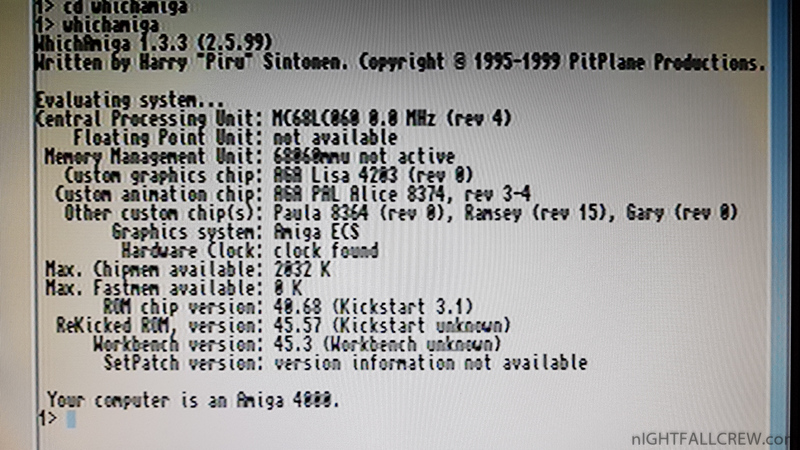 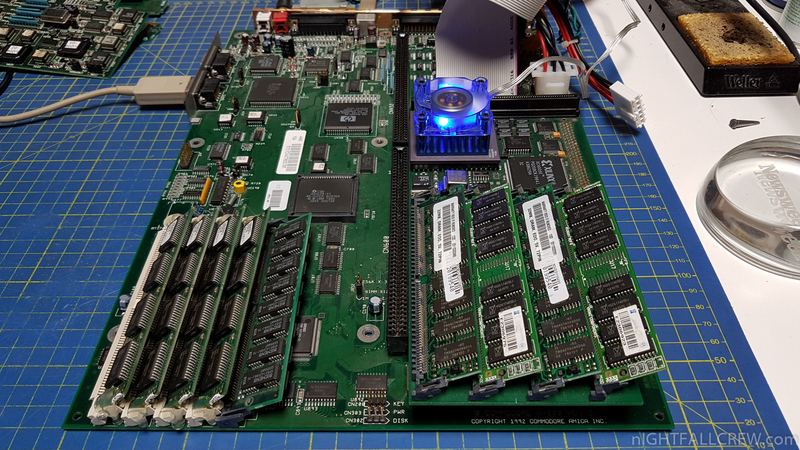 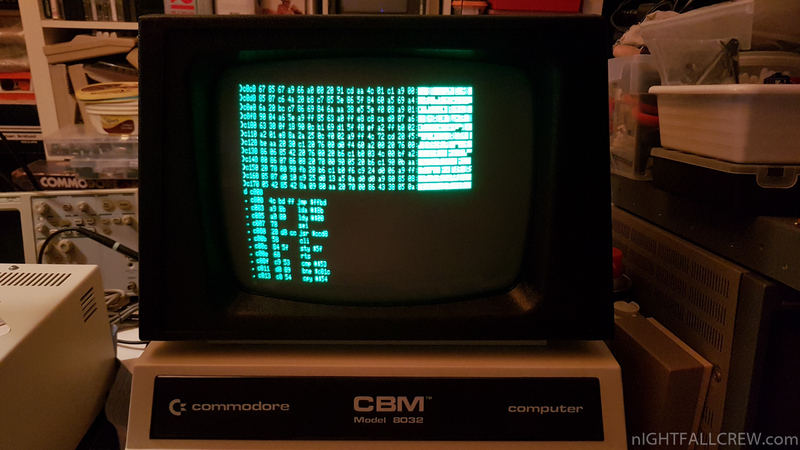 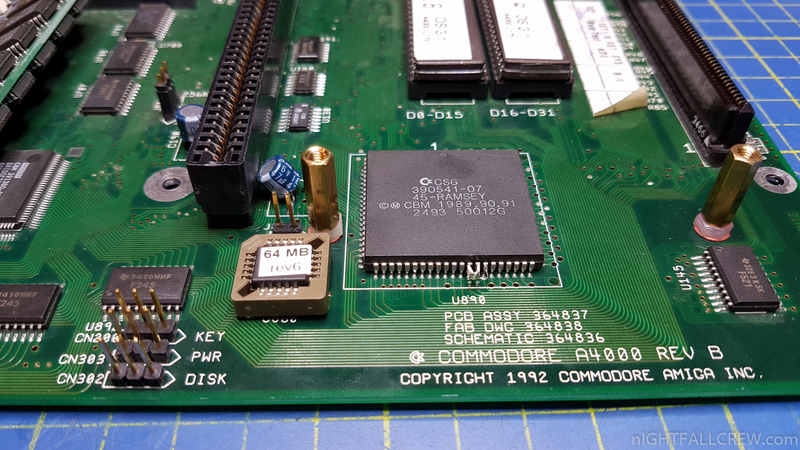 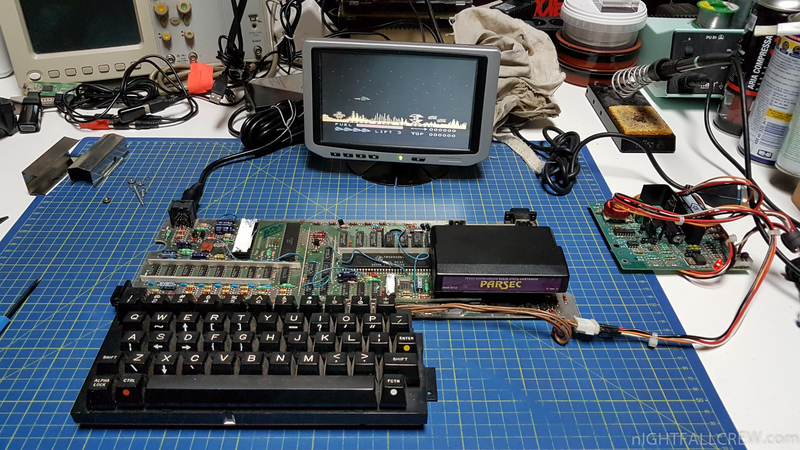 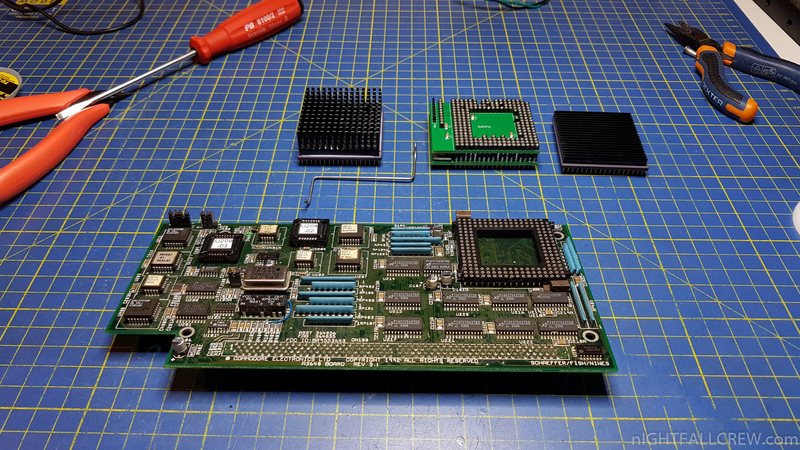 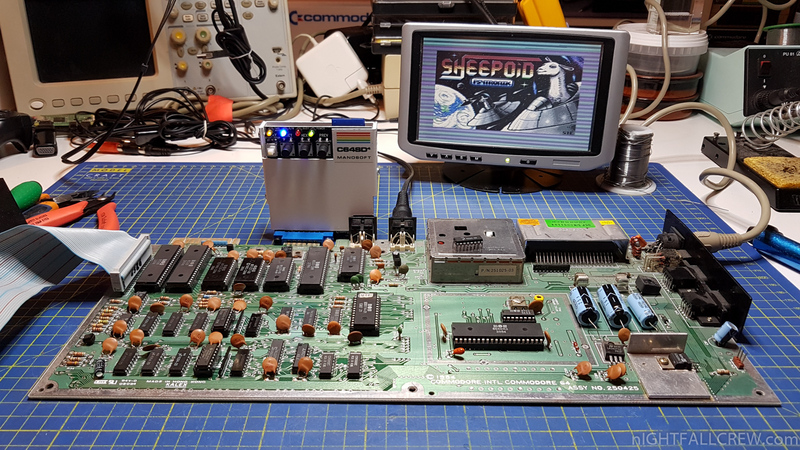 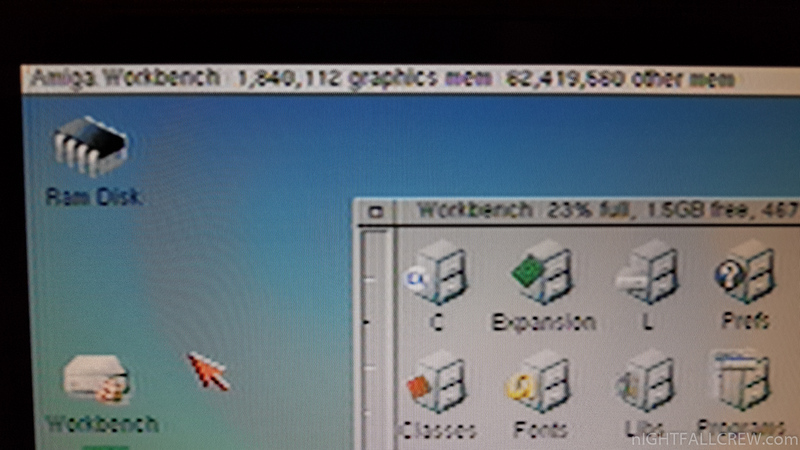 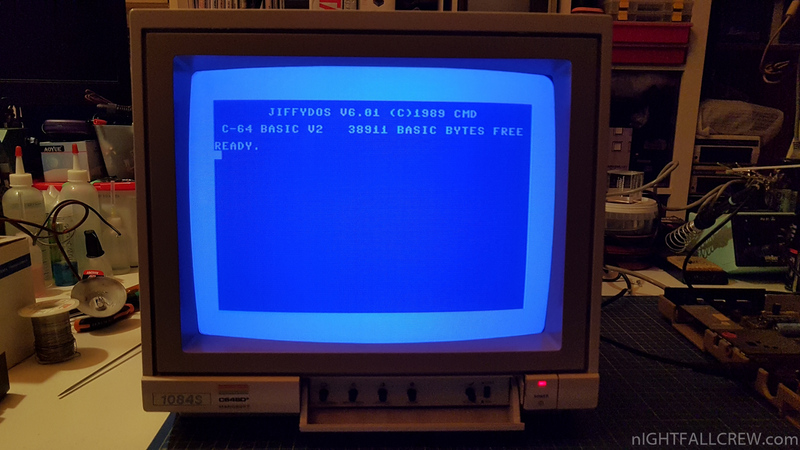 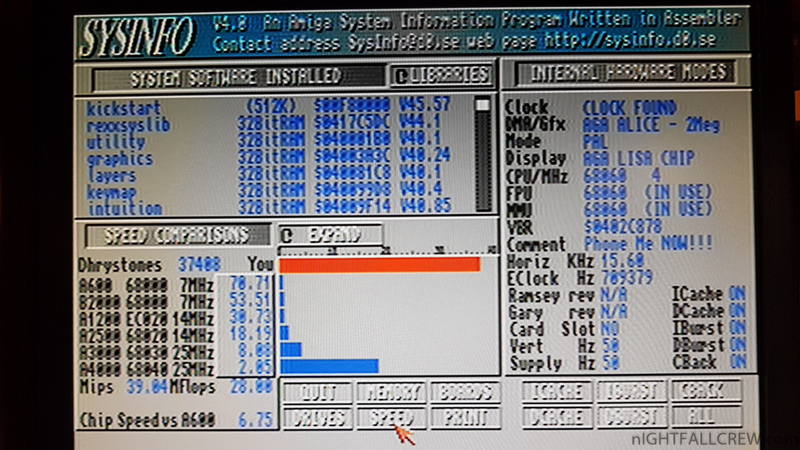 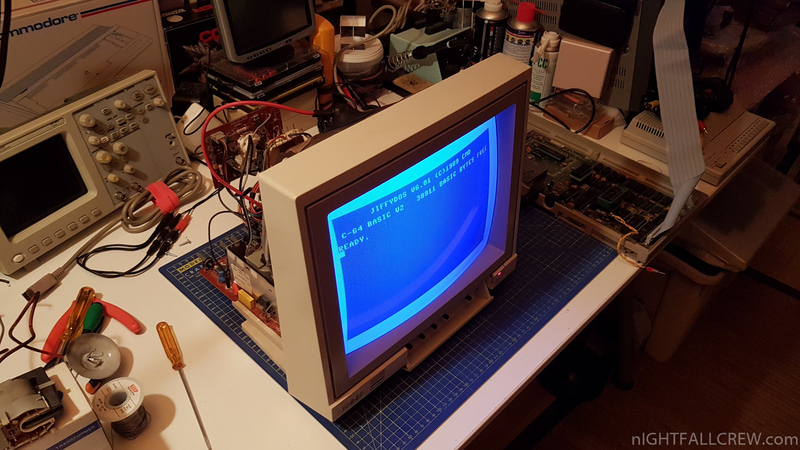 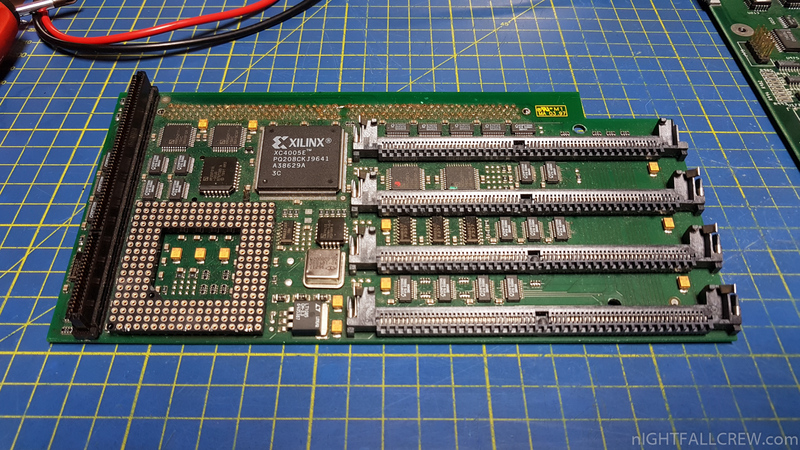 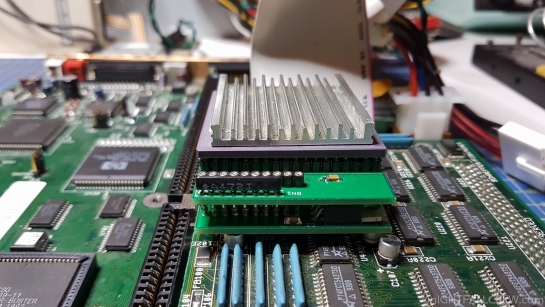 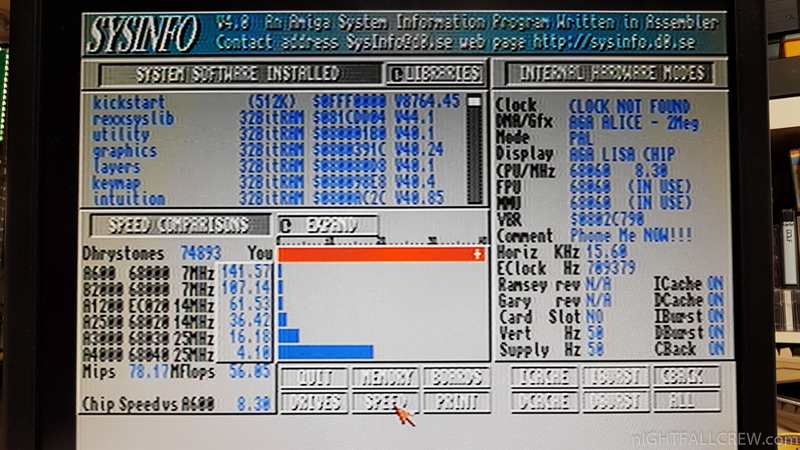 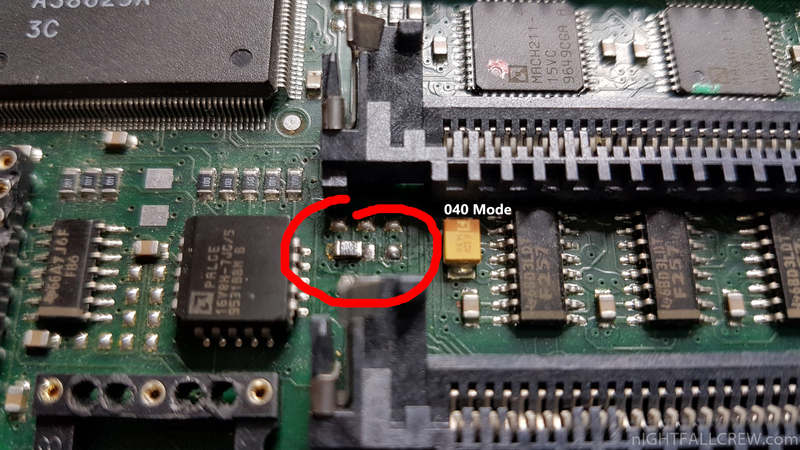 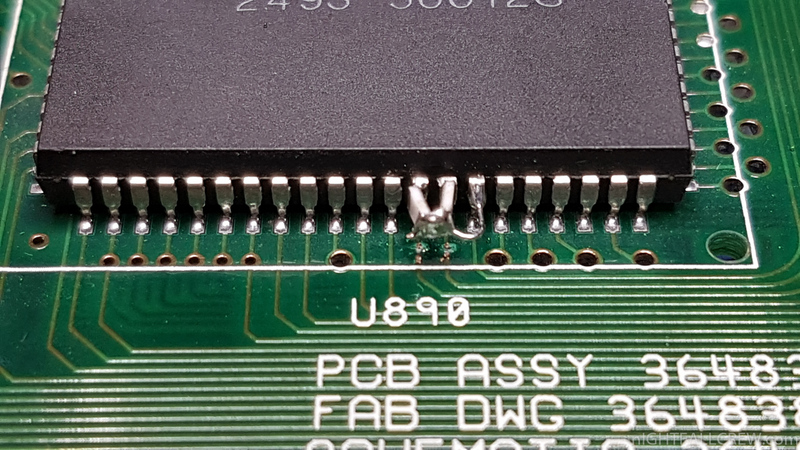 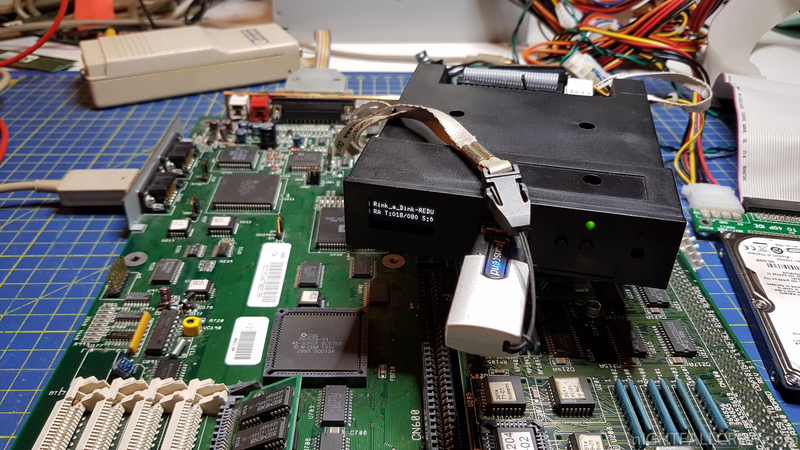 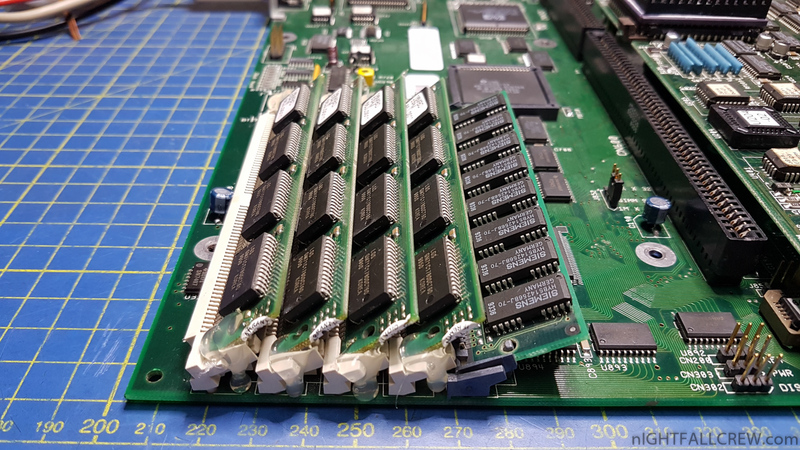 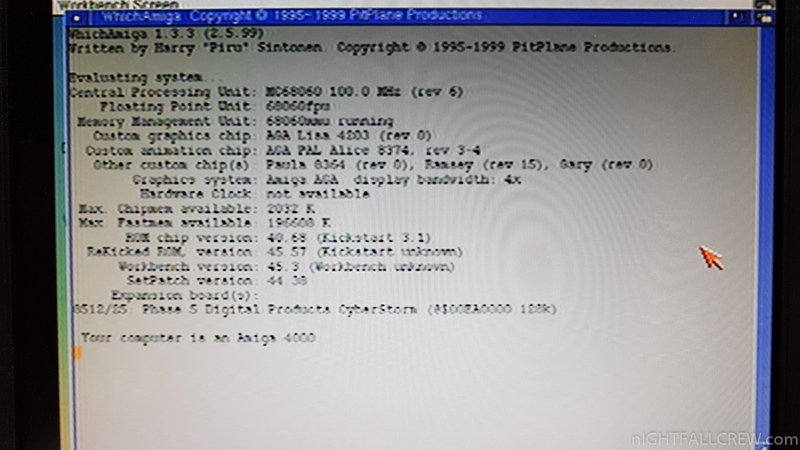 Commodore Amiga 4000 – 64Mb Fast Memory Hack. 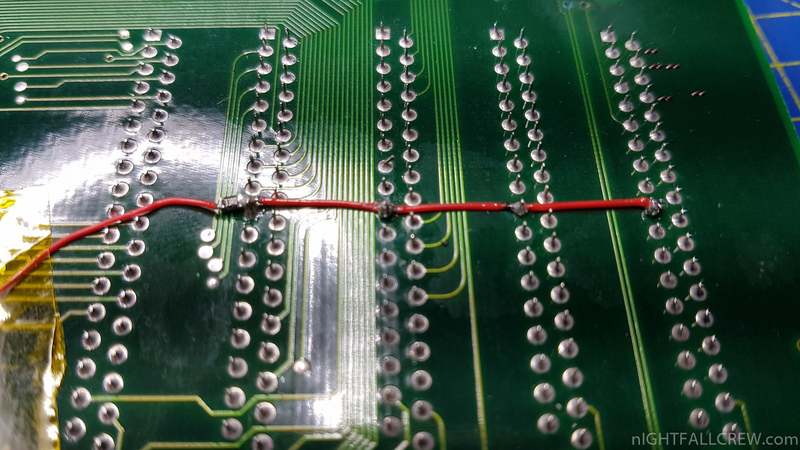 To do this, you have to solder a new GAL and make some bridges between FASTRAM SIMM -> GAL -> CHIP RAMSEY. 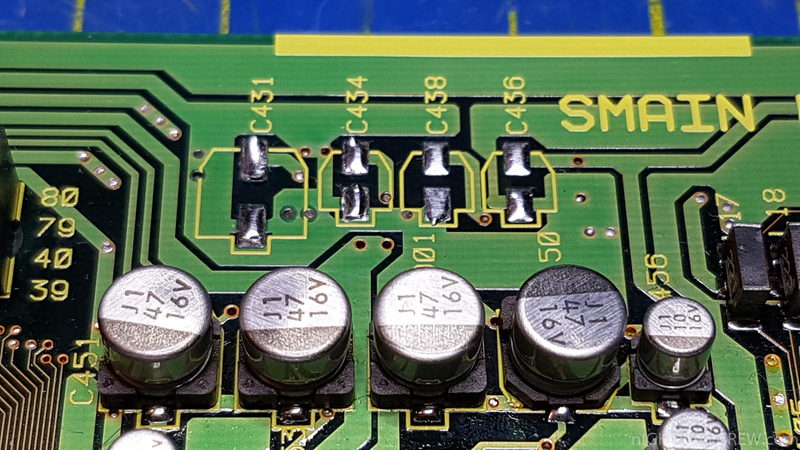 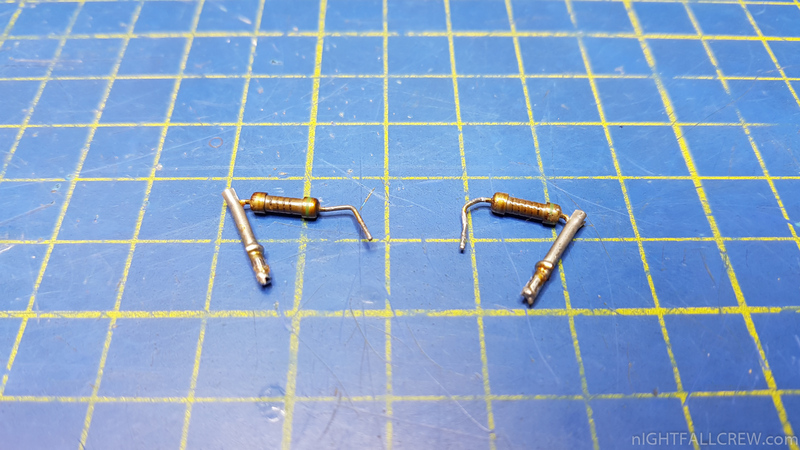 This work is not complicated but you need to have a good practice with the soldering iron and PLCC soldering. 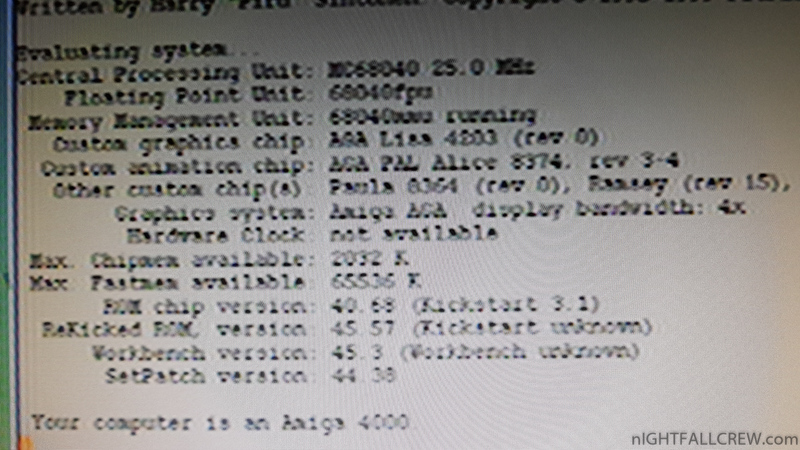 I have replaced the CPU 060 EC version with a 060 FULL with FPU REV 1. 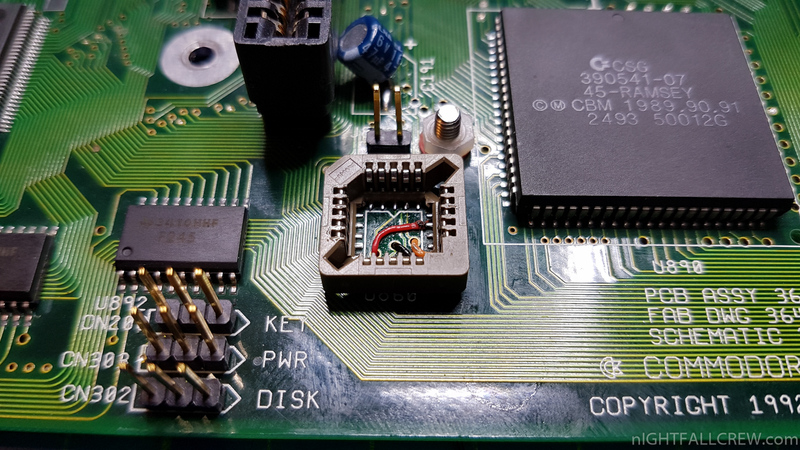 When using the adapter with a non EC version of the 060 you must also use a fixed version of the kickstart v3.1 with the exec.library modified to support the FPU. 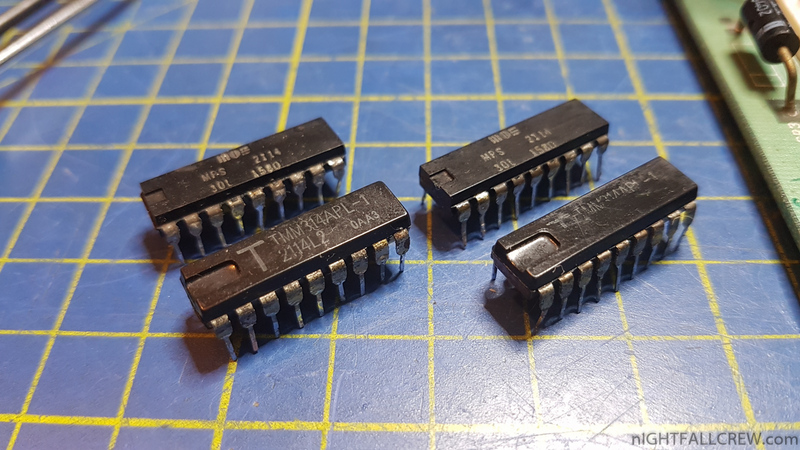 CPU Adapter 040 -> 060. 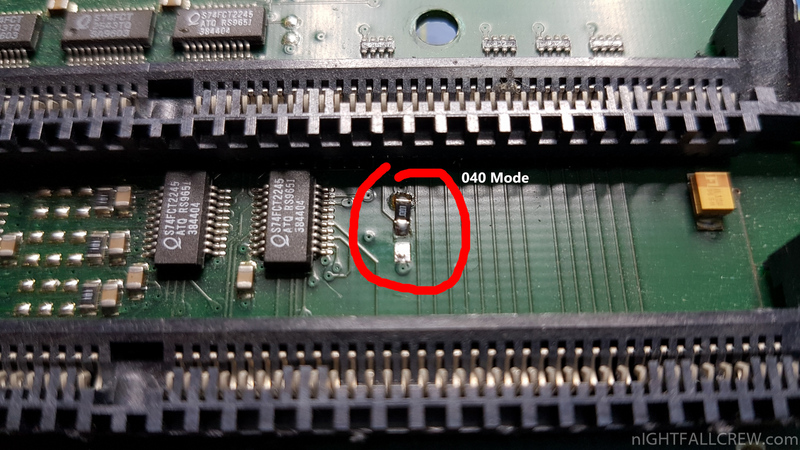 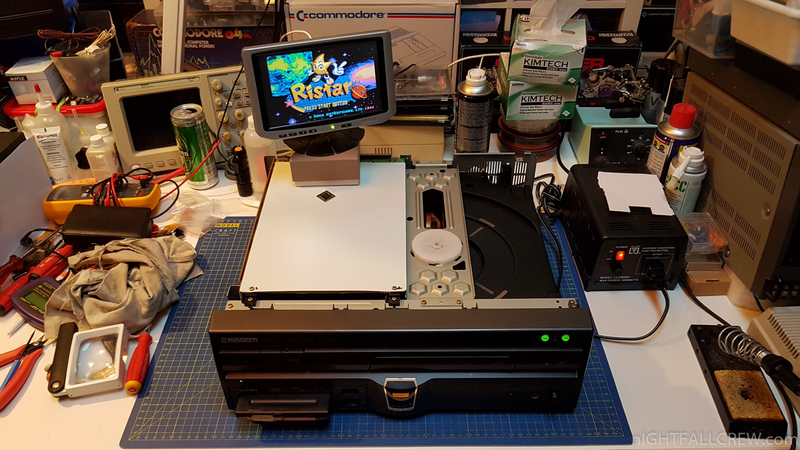 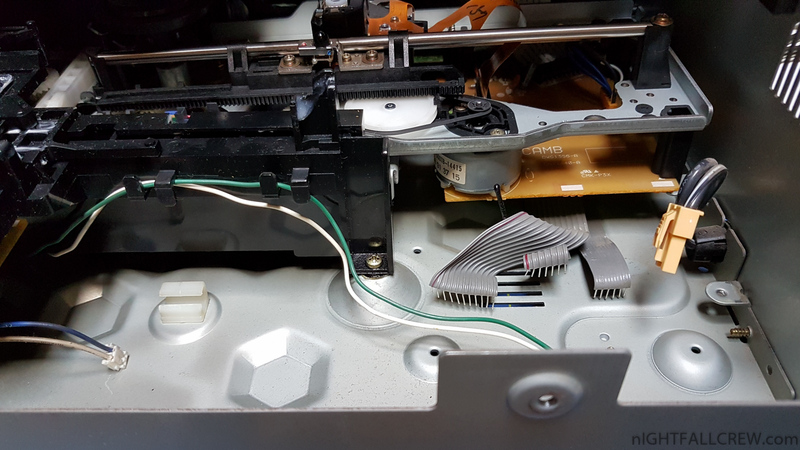 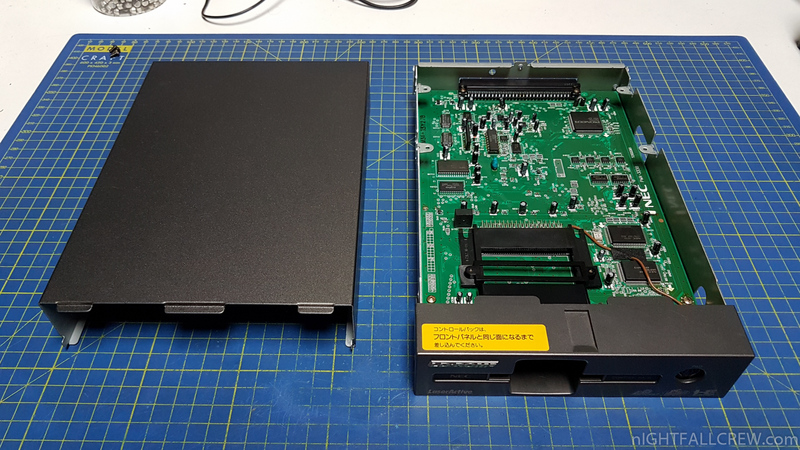 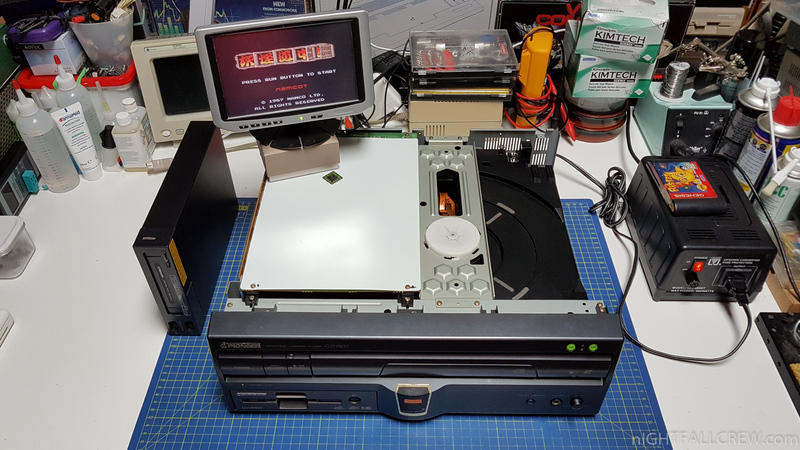 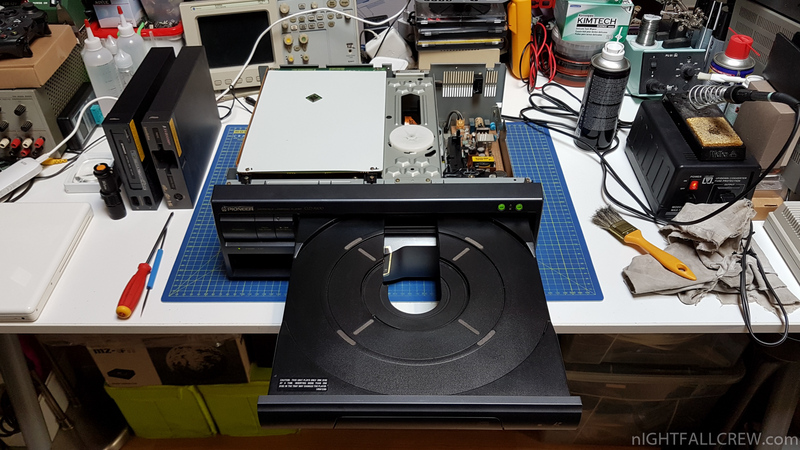 Commodore Amiga 4000 repair with Floppy Drive that is not recognized. 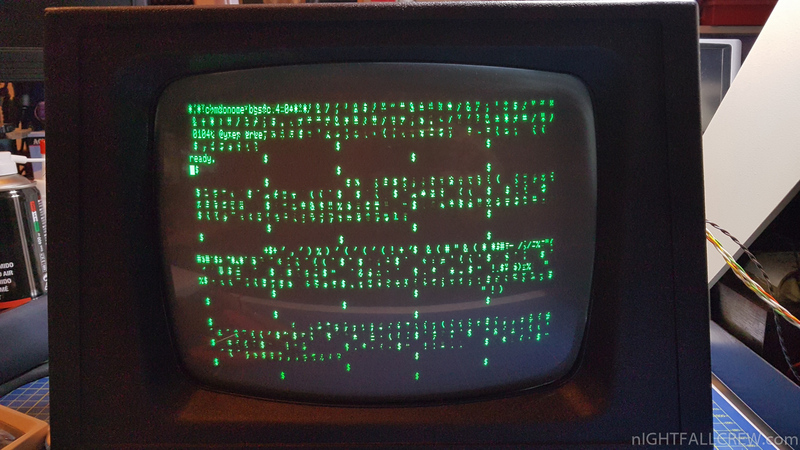 Completly dead with only a loud whistling noise in background. 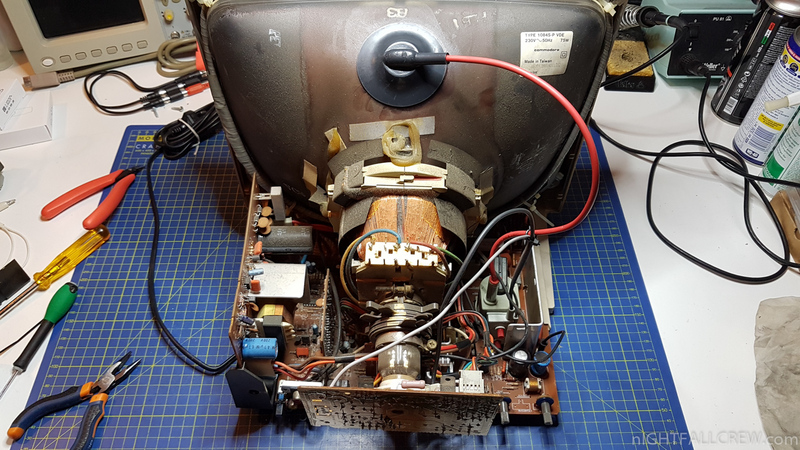 Replaced the flyback transformer (AT2079/30102) everything has started to work perfectly. 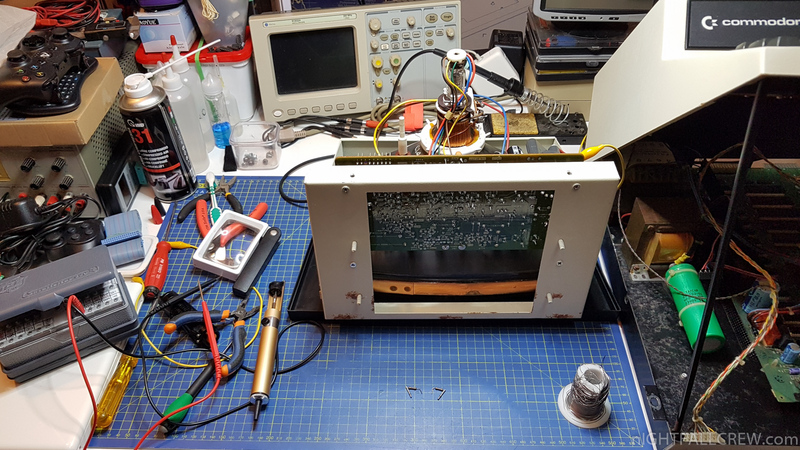 It’s mandatory to made a calibration of the SCREEN and FOCUS with the two trimmer placed on the rear side of the flyback transformer. 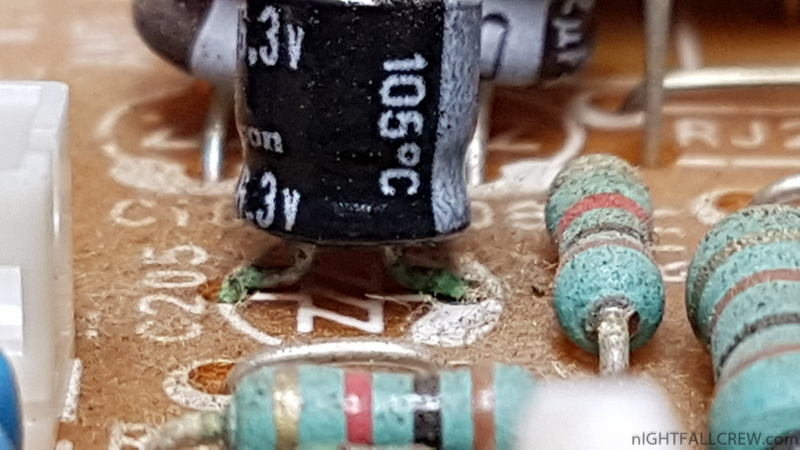 A loud whistling noise indicates a bad flyback transformer (also known as an LOPT).